CEoT features experts that you recognize covering the latest and most prevalent topics in the transplantation field. Learn more about our set of experts. 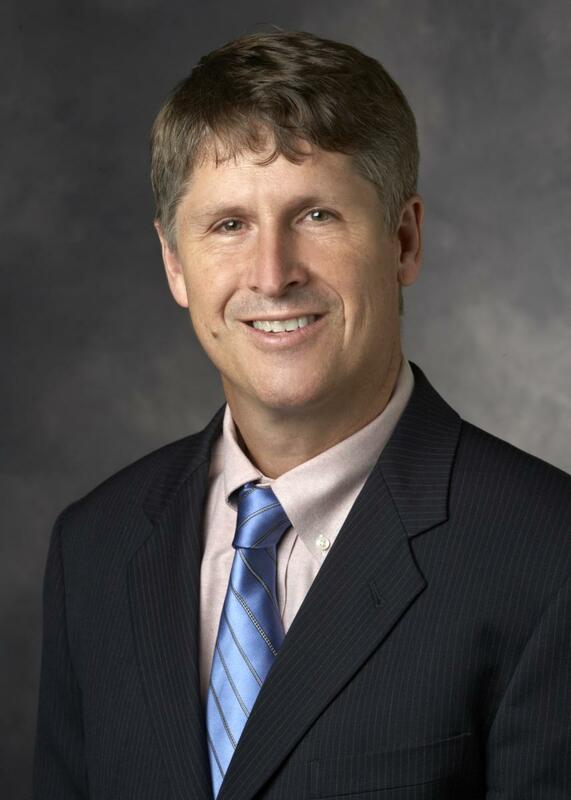 Andrew Adams MD/PhD is an Associate Professor of Surgery at the Emory Transplant Center, Atlanta, GA. He received a combined MD/PhD with an emphasis in Transplantation Immunology from Emory and subsequently completed his General Surgery Residency at Massachusetts General Hospital. After residency he returned to Emory and completed a fellowship in Abdominal Transplant Surgery and then remained on as a faculty member. His research efforts are concentrated on the development of novel strategies and therapeutics to promote transplantation tolerance. A more recent research focus has been the application of novel immunosuppressive strategies in large animal (pig-to-non-human primate) xenotransplantation. He is the principal investigator on several NIH grants which support his multi-disciplinary research team. His clinical practice is focused on liver transplantation in both adult and pediatric patients. His primary clinical research interest is resource utilization following kidney transplantation including defining the factors that drive increased hospitalization and inferior outcomes. 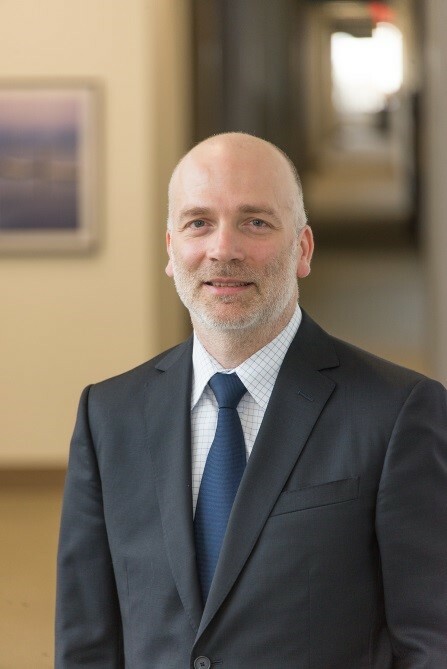 The 2019 CEoT Keynote Speaker will be Dr. Matthew Albert. As an Immunologist and Clinical Pathologist, I have provided new insights into the immunologic consequences of cell death, leading to the emergence of new fields of research with vast medical implications. My curiosity has led me to establish a deep understanding of disease pathogenesis, with the ultimate goal of providing new diagnostic tools and novel approaches to support vaccine development and improved management of disease.I began my medical education at Cornell University Medical College and The Rockefeller University, where I worked with mentors Drs. Nina Bhardwaj and Robert Darnell to solve a 25 year-old problem in immunology, which revealed a role for cell death in the initiation of anti-tumor and anti-viral T cell responses. I continued to explore this immunologic pathway as a group leader at the Institute Pasteur, where we gained new insights into immune regulation of viral hepatitis and bladder cancer. I have also participated in several taskforces, being the Immunologist member of the Chikungunya efforts led by Institut Pasteur after the 2005 outbreak in Southeast Asia. Committed to public health but enthralled by the beauty inherent in the sometimes symbiotic – other times opportunistic – relationships in the natural world, in 2009 I initiated an effort to understand the determinants of a healthy immune system. Working in close partnership with Human Geneticist Lluis Quintana-Murci, we established the Milieu Intérieur Consortium [see www.milieuinterieur.fr/en]. Briefly, the objectives of the Milieu Intérieur project are to: establish a deep understanding of immune variance; define how immune phenotypic variation is genetically controlled and; ascertain the role of the microbiota and environmental triggers as regulators of immune programs. These efforts will establish parameters for stratifying individuals within a population, thus making it possible to glean meaningful interpretation from measurements of stress-induced host response. In achieving this goal, the project will provide a foundation for defining perturbations in an individual’s immune responses, thus laying the foundation for personalized medicine. In an effort to scale this vision of ‘next-generation’ immune monitoring and contribute to the exciting field of Cancer Immunology, I am excited to have joined Genentech. Here, I aim to build a new approach to biomarker research, supporting numerous drug development programs, and helping to establish a cost-effective path for bringing new treatment modalities to the clinic. I love to learn new things and push the boundaries of what can be learned through interdisciplinary research. While the core expertise of my laboratory is cellular immunology and physiology, being a postdoctoral mentor to biochemists, cell biologists and computational biologists permits me to share my passion for dendritic cell biology while pushing the envelope as to what we can learn about disease pathogenesis and health. 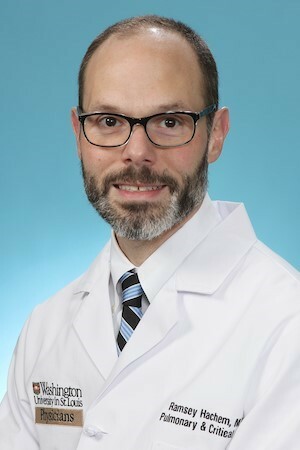 Dr. David Baran graduated from the University of South Florida College of Medicine in Tampa, Florida before training at Columbia-Presbyterian Medical Center in New York City from 1992-1998 and 1998-1999 (Internal Medicine, Heart Failure Research as well as Transplant Cardiology). In 2017 he joined Sentara Heart Hospital in Norfolk, Virginia as the System Director for Heart Failure, Transplantation and Mechanical Circulatory Support. Dr. Baran has published more than 80 papers in peer-reviewed journals, and is on the editorial board of the Journal of Heart and Lung Transplantation. He research focuses on immunosuppression, heart transplant donor selection, as well as mechanical circulatory support. He is a Professor of Medicine at Eastern Virginia Medical School. 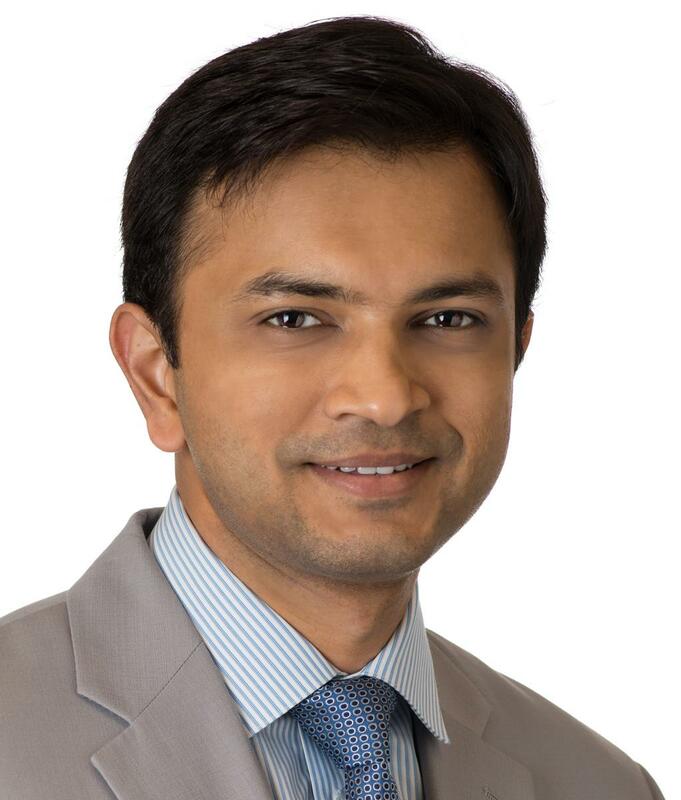 Dr. Ankit Bharat is an Associate Professor of Thoracic Surgery and Pulmonary Medicine, the Harold L. and Margaret N. Method Research Professor of Surgery, the Director of the Lung Rescue Program at Northwestern University in Chicago. He received his training at Christian Medical College in India following then joined Washington University in St Louis where he completed general surgery residency and cardiothoracic surgery fellowship, plus a post-doctoral research fellowship. Upon joining Northwestern University as a tenure-track faculty he started their inaugural lung transplant and respiratory ECMO programs. His clinical practice focuses on patients with complex thoracic diseases and providing advanced therapies such as ECMO and lung transplantation to those with end-stage lung failure. In addition, he provides minimally invasive treatment to patients with thoracic malignancies including robotic and video-assisted thoracoscopic surgery. His basic science laboratory investigates transplant immunobiology and lung repair while his clinical research is focused on lung transplant outcomes. 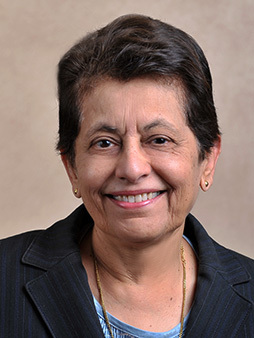 Dr. Geetha Bhat, Medical Director of The Center for Heart Transplant and Assist Devices at Advocate Christ Medical Center (2008-July 2018) and Clinical Professor of Medicine at University of Illinois College of Medicine, is a nationally and internationally renowned heart failure, assist device and transplant cardiologist with vast experience in research, education, and developing cardiac transplant programs across the country. Dr. Bhat directed the Heart Transplant program at the University of Cincinnati, was Director of the Heart Failure and Cardiac Transplant at Jewish Hospital, Louisville, and a Heart Transplant cardiologist in Tampa. She joined Advocate Christ in 2008 to initiate a heart transplant program and lead a large mechanical assist device program. Dr. Bhat has been the principal investigator of landmark clinical trials and is the recipient of many honors and research grants with multiple publications and presentations in transplantation and mechanical circulatory support. Dr. Sangeeta Bhorade is currently Professor of Medicine at Northwestern Medicine. She is Board Certified in both Critical Care and Pulmonary Medicine and is a national leader in the field of lung transplant. Dr. Bhorade has completed extensive research in the area of optimization of immunosuppression in lung transplantation and has several peer reviewed clinical investigations, book chapters and invited transplant reviews. She has been invited to over 80 national and international meetings to present on various topics related to lung transplantation.This level of dedication can also be seen in Dr. Bhorade’s compassionate commitment to her patients via her multidisciplinary approach to the care and management lung transplant and advanced lung disease. She believes in a team based approach to helping patients improve their lung function in order to increase quality of life. 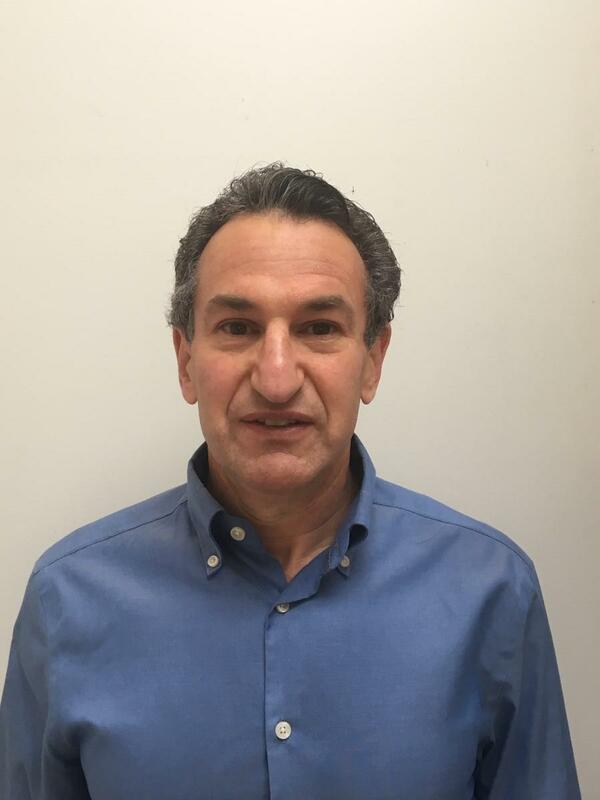 Dr. Roy Bloom graduated from University of Witwatersrand Medical School, completed a residency at Albert Einstein Medical Center, followed by nephrology fellowship training at Harvard Medical School and the University of Pennsylvania. He is Professor of Medicine at the University of Pennsylvania and Medical Director of its Kidney Transplant Program. Dr Bloom has served on the ASN Public Policy Board and several ASN and AST Committees related to patient care, education and practice improvement. He has been a member of various AST, KDIGO and KDOQI Work Groups. He has co-chaired the AST/ASN Transplant Course and is an AST/ASN Transplant Nephrology Core Curriculum faculty member. Dr. Bloom serves on the Cutting Edge in Organ Transplantation annual meeting planning committee. He has co-authored over 170 publications. He is an associate editor for the American Journal of Kidney Diseases. Research interests include viral infections in transplantation, clinical immunosuppression studies and post-transplant outcomes. Dr. Emily Blumberg is a Professor of Medicine (Infectious Diseases) at the Perelman School of Medicine at the University of Pennsylvania, where she is the Director of Transplant Infectious Diseases and the Infectious Diseases Fellowship Program Director. Her research focuses on donor derived infections and viral infections in transplant recipients, including HIV and HCV. She has also been involved in clinical trials related to new antimicrobial agents, especially antivirals. She is a former chair of the OPTN/UNOS Ad Hoc Disease Transmission Advisory Committee and has been extensively involved in the development of guidelines for the prevention of donor derived infections. She is an Associate Editor for the American Journal of Transplantation and Transplant Infectious Diseases, President-Elect of the American Society for Transplantation and co-chair of the US Health and Human Services Advisory Committee on Blood and Tissue Safety and Availability. 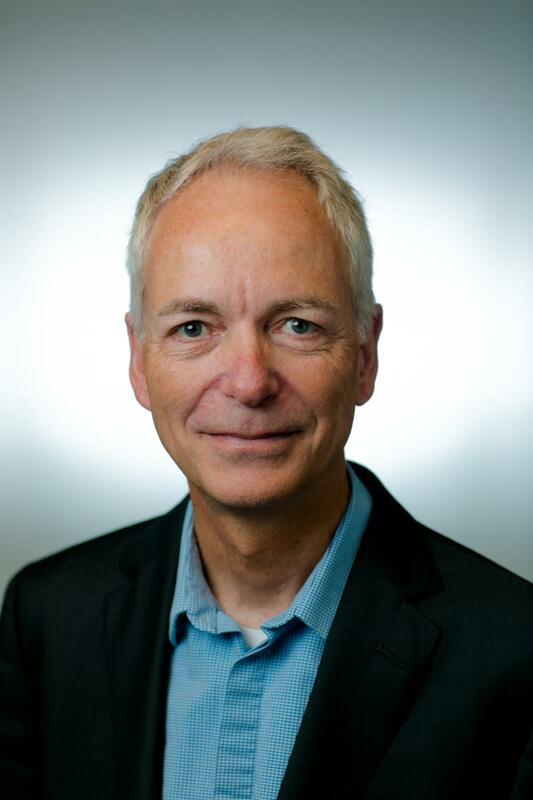 Robert A. Bray, PhD., is currently a Professor in the Department of Pathology and Laboratory Medicine, School of Medicine, at Emory University and Co-Director of the Histocompatibility & Molecular Immunogenetics Laboratory (1989-Current). Dr. Bray received his Ph.D. from Indiana University School of Medicine (1985 - Indianapolis, Indiana) and did a post doctoral fellowship at Rush Medical Center in Chicago, Il. (1985-1987). Dr Bray is a past President of ASHI and has served on the UNOS Board of Directors. In addition he has served on many other Committees within UNOS, ASHI, ABHI, NMDP and the AFDT (formerly SEOPF). 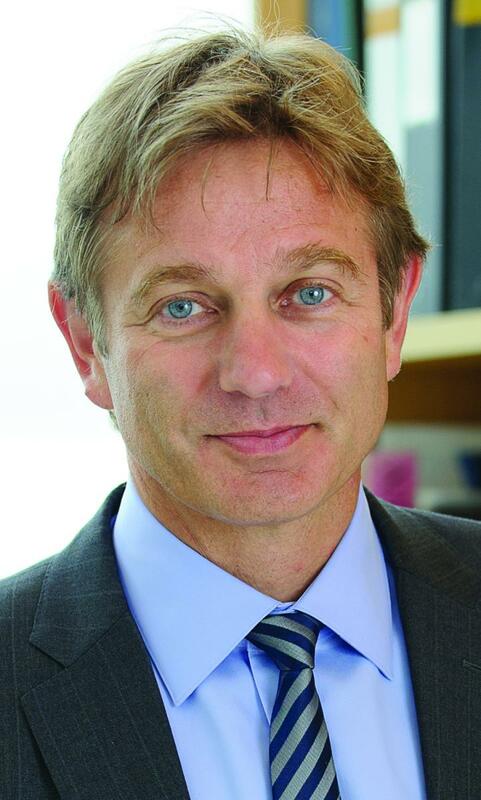 He is currently the Immediate Past-Chair of the UNOS Histocompatibility Committee. Dr. Kimberly A. Brown is the Chief of Gastroenterology and Hepatology at Henry Ford Hospital in Detroit. She is currently the Chief of the Division of Gastroenterology and Hepatology and the Associate Medical Director for the Transplant Institute. She was a founding Board Member for the ABIM Liver Transplantation and Advanced Hepatology Board. As a AST Fellow, she has served on the Exectutive board for the LICOP, on the Board of AST and served both as past Secretary and Treasurer for the society. She is a past associate editor for CLD journal and a past member of the UNOS Liver and Intestine Committee. Currently, Dr. Brown is the Secretary for the AASLD . Dr. Brown has trained over 100 fellows in advanced hepatology and transplantation and has published over 70 articles, 110 abstracts and 8 book chapters/reviews in the areas of viral hepatitis, advanced liver disease and liver transplantation. Dr. Marie Budev is currently the Medical director of the Cleveland Clinic Lung Transplant and Heart and Lung Transplant Program. Dr. Budev completed her residency and chief residency at the Cleveland Clinic Foundation and went on to subspecialize in Pulmonary and Critical Care Medicine at the Cleveland Clinic as well. Dr Budev joined the Staff of the Cleveland Clinic in 2005. Dr. Budev specializes in the treatment of adult patients who have end stage lung disease and congenital heart diseases who are refractory to further medical and surgical therapies. Dr Budev's research focuses on further refining immunosuppression therapy to improve transplant outcomes and quality of life in lung transplantation . 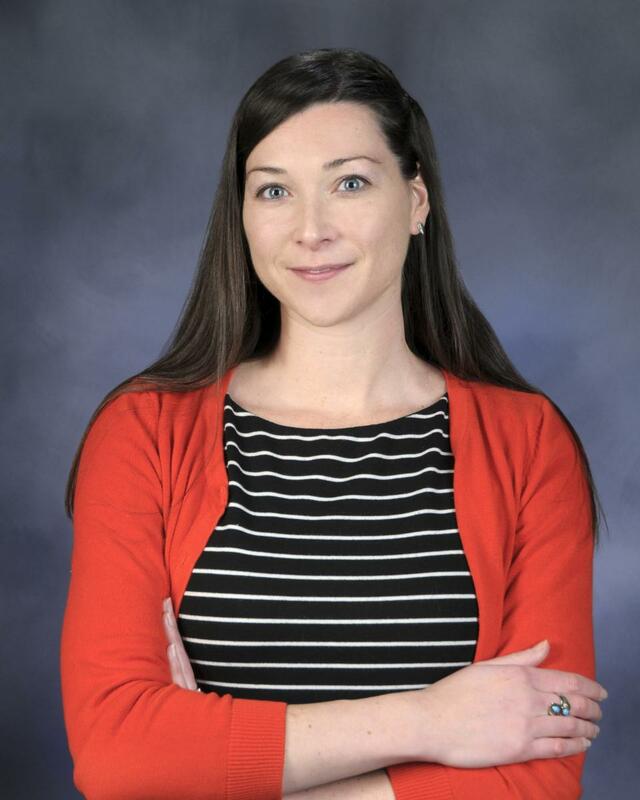 She is currently serving as the primary investigator for multiple clinical trials focusing on reducing chronic rejection and antibody mediated in lung transplant recipients. Dr. Budev has also worked closely with the Cleveland Clinic Cardiovascular team to help refine and research possible surgical interventions such as bronchial artery revascularization as a means to reduce early and later transplant complications and bridging to transplant with ECMO. Dr. Budev has authored and co-authored more than 100 abstracts, original articles and book chapters focusing on lung transplantation. 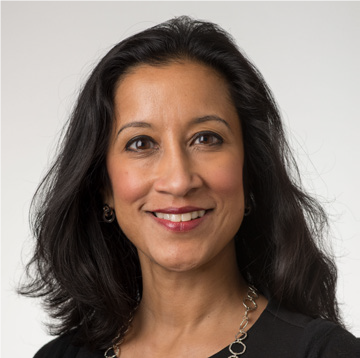 Dr Budev’s work has earned her memberships in numerous professional and scientific societies, including the International Society for Heart Lung Transplant, UNOS National Lung Review Board, and The American Thoracic Society and currently serves as the Chair of the Transplant Network Steering Committee for the ACCP . She is the current Region 10 Lung Representative on the UNOS National Thoracic Committee and is the National Chair of the UNOS Lung Exception Review Board. 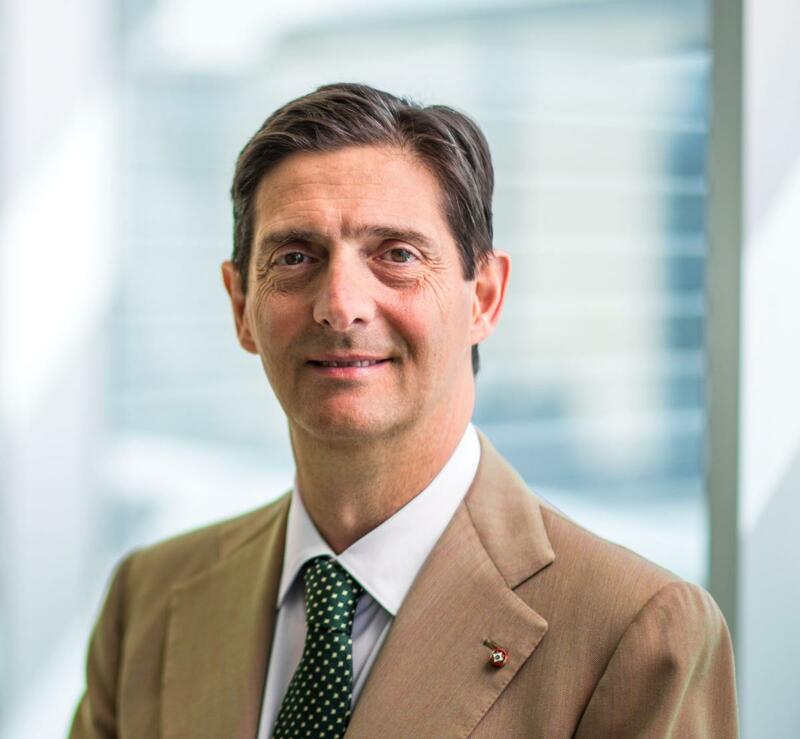 Dr. Juan Carlos Caicedo is Associate Professor of Surgery and Director of the Hispanic Transplant Program and the Living donor liver transplant program at Northwestern University's Feinberg School of Medicine. Dr. Caicedo graduated from the National University of Colombia in Bogota. Colombia. He completed Adult and pediatric Transplant Fellowship at Northwestern University. Since 2006, he has worked as an adult transplant surgeon performing kidney, liver and pancreas at Northwestern Memorial Hospital. He is also a pediatric transplant surgeon, performing kidney, liver and multi-visceral transplants at Lurie Children’s Hospital. Dr. Caicedo’s primary goal has been to increase organ donation and transplantation in Hispanics using a cultural competent and congruent approach that has been very successful. He developed the Hispanic transplant program in 2006 and post implementation, there have been a significant improvement in access to transplant care, significant increase of LDKT and reduction of disparities in Hispanics compared to Non-Hispanic whites. Dr. Daniel Dilling is Professor of Medicine at Loyola University Chicago, Stritch School of Medicine in the Division of Pulmonary and Critical Care, where he focuses his work on the care of advanced lung diseases. He is Medical Director of the Lung and Heart-Lung Transplant programs at Loyola but also oversees the Interstitial Lung Disease program, the Rare Lung Disease Clinic, and the LAM Clinic. Dr. Dilling participates in clinical research revolving around lung transplant, interstitial lung diseases, lymphangioleiomyomatosis (LAM), and other rare lung diseases. Dr. Jeffrey D. Edelman is an Associate Professor of Medicine in the Division of Pulmonary, Critical Care, and Sleep Medicine at the University of Washington and Director of the Lung Transplant Program at the Seattle VA. He is a clinician/educator with longstanding expertise in lung transplantation, pulmonary vascular disease, and advanced lung diseases. 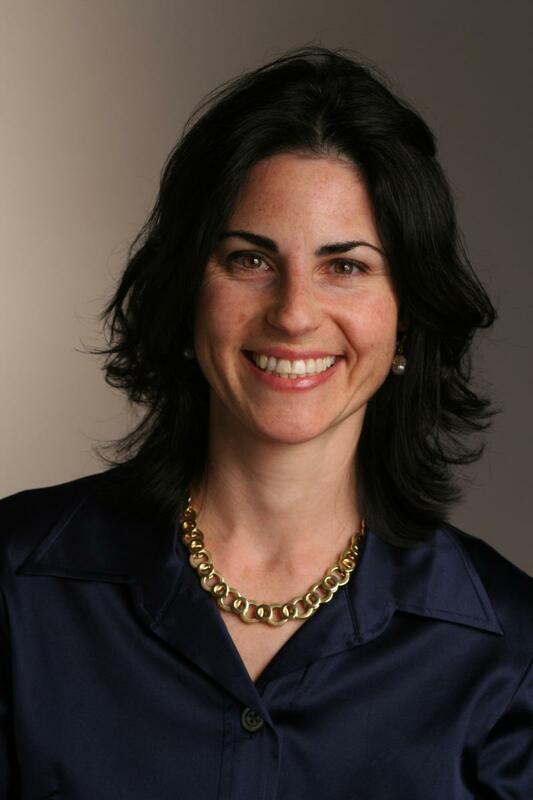 Maryjane Farr is a graduate of Barnard College (BA’89) and Columbia College of P&S (MD ’98). She completed Internal Medicine and Cardiovascular Diseases training at Weill Cornell Medical College, and Advanced Heart Failure/Transplant training at Columbia University Medical Center (’05). In 2005 Dr. Farr was appointed Medical Director of the Weill Cornell Perkin Heart Failure Program. In 2007 she joined the Center for Advanced Cardiac Care of Columbia University. Dr. Farr was the Director of Clinical Trials in Heart Failure and Transplantation from 2007-12, obtained a Herbert Irving Scholarship to train at the Mailman School of Public Health (MS’12), and received the Shorin-Silverstein Research in Transplantation award for 2012-14. In 2015 she became Medical Director of the Adult Heart Transplantation Program. Dr. Farr has served on the UNOS Thoracic Committee. Dr. Farr’s research interests are in primary graft dysfunction, transplant coronary artery disease and donation after cardiac death (DCD). 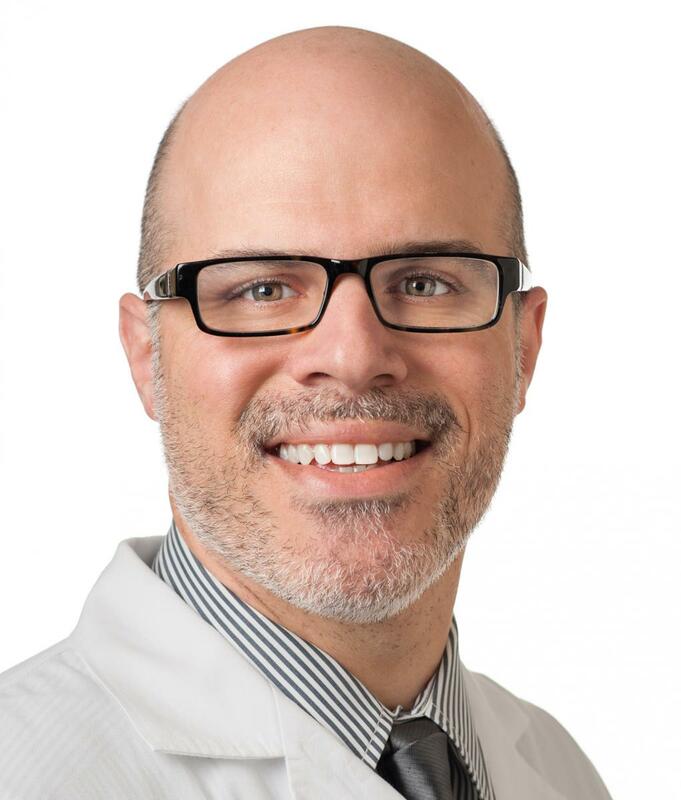 Dr. Barry Fine is an Assistant Professor of Medicine in Cardiology at Columbia University Irving Medical Center, College of Physicians and Surgeons and attending cardiologist at New York Presbyterian Hospital. The goal of his research is to leverage advances in biomedical engineering and genetic manipulation to improve modeling cardiac diseases. His laboratory focuses on utilizing human cardiomyocytes derived from induced pluripotent stem cells in three aspects of cardiac biology and disease: 1) understanding metabolic determinants of human cardiomyocyte survival and contractility utilizing engineered human tissues, 2) modeling congenital heart disease using programmed differentiation of stem cells into cardiomyocytes and CRISPR manipulation to mimic inherited mutations found in CHD and 3) identifying determinants and biomarkers of graft failure after heart transplant using exosome proteomics and machine learning. His lab is currently funded by the NHLBI, the Department of Defense and several private foundations. Dr. David Foley is Professor of Surgery in the Division of Transplantation at the University of Wisconsin School of Medicine and Public Health. He is Director of the Abdominal Transplant Surgery Fellowship, Surgical Director of the UWHealth Transplant Clinic, and Surgical Director of the Liver Transplant Program at the William S. Middleton Veterans Hospital in Madison, WI. His surgical practice includes liver and kidney transplantation, laparoscopic donor nephrectomies, and general surgery. His clinical research is focused on identifying risk factors and improving outcomes of liver transplantation using marginal organs from older, steatotic and DCD donors. He also participates in national clinical trials aimed at decreasing delayed graft function after kidney transplantation. His basic and translational research interests include identifying novel, cell-specific strategies to mitigate ischemia reperfusion injury in kidney and liver transplantation through the activation of endogenous antioxidant pathways and the reduction of pro-inflammatory pathways. 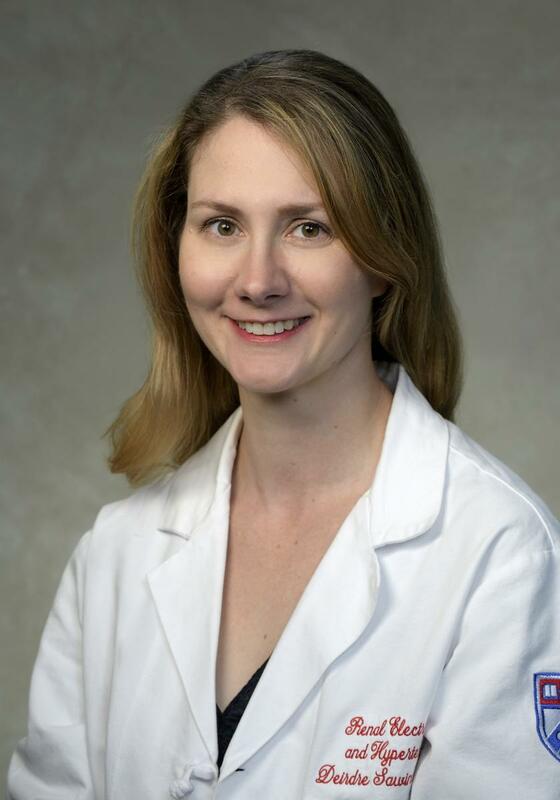 Dr. Mandy Ford is a T cell immunologist and Associate Professor in the Emory University Department of Surgery and Emory Transplant Center. Her research interests are in the area of T cell-mediated allograft rejection, with a focus on exploring the roles of T cell coinhibitory molecules in limiting donor-reactive primary and memory T cell responses during transplantation in both human cells and mouse models. She has been NIH-funded for this work since 2007. 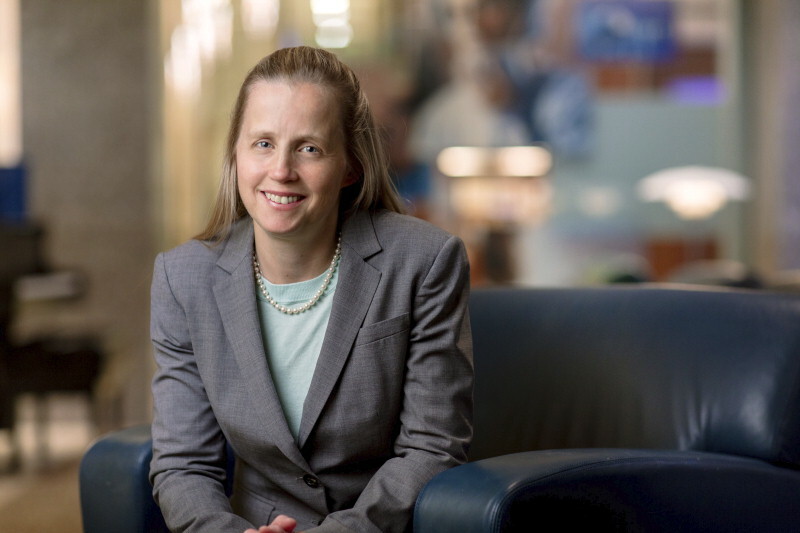 In addition, Dr. Ford is a Deputy Editor at The American Journal of Transplantation, a Section Editor at The Journal of Immunology, a member of the leadership committee of the AST Research Network, and a member of the Transplantation, Tolerance, and Tumor Immunology NIH Study Section. She served as Chair of the AST Community of Basic Scientists from 2014-2016. In 2014, Dr. Ford received the American Society of Transplantation Achievement Award at the Assistant Professor level. Dr. Richard Formica is Professor of Medicine and Surgery and Director of Transplant Medicine at Yale University. 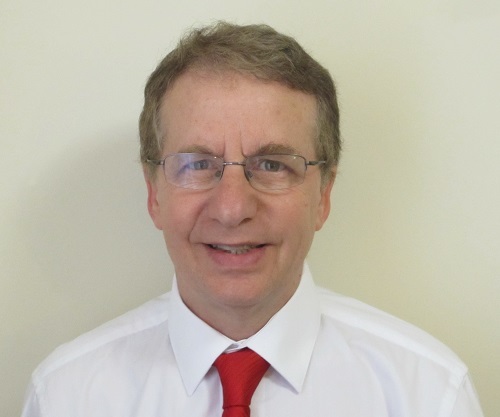 Dr. John Friedewald has a degree in Psychology from Princeton University and his MD from Columbia University. He completed his residency and fellowship training in Internal Medicine and Nephrology at Johns Hopkins Hospital. He now works as a transplant nephrologist in Chicago. He is Professor of Medicine and Surgery at the Northwestern University Feinberg School of Medicine. 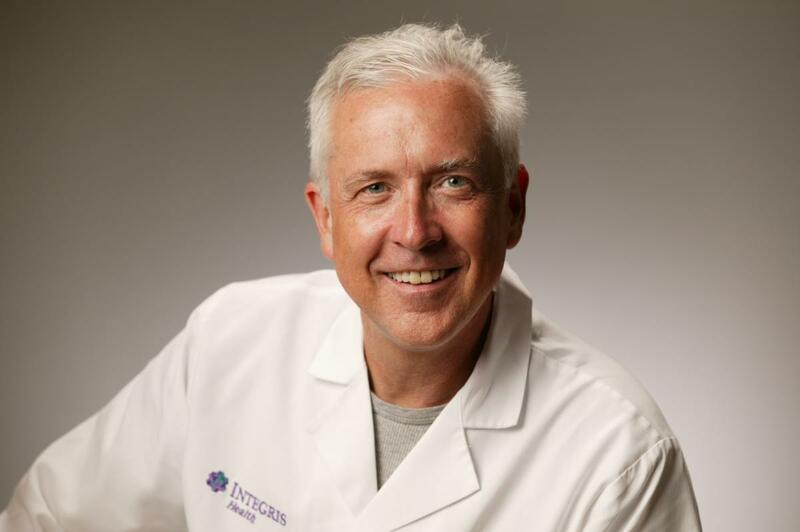 He is the Medical Director of Kidney and Pancreas Transplantation at Northwestern Memorial Hospital, and he is the Director of Kidney and Pancreas Clinical Research for the Transplant Center. His clinical interests include improving options for highly sensitized patients through desensitization and kidney paired donation (KPD). One of his main research interests is developing non-invasive genomic biomarkers for use in transplantation. He is currently the Vice Chair of the MPSC at UNOS. He is past Chair of the AST Kidney and Pancreas Community of Practice. 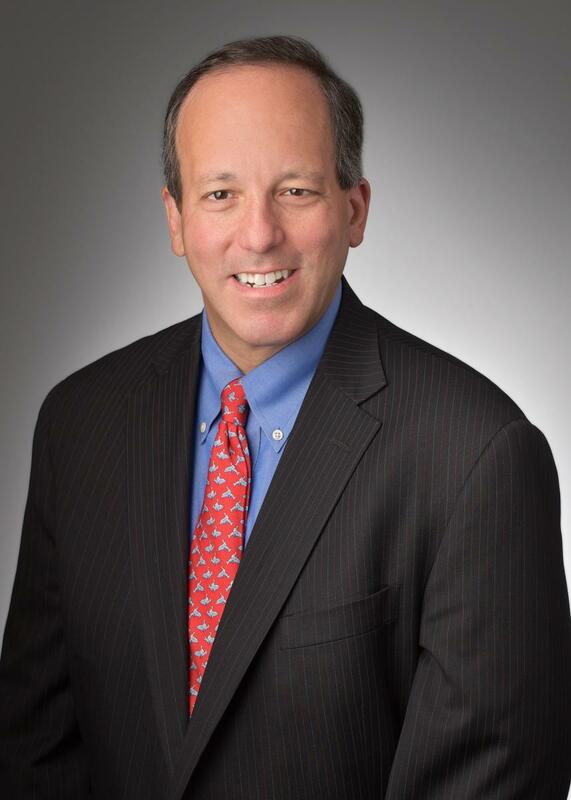 Dr. Jon Friedman, MD, is the Chief Medical Officer for Optum’s Medical Benefit Management programs. He has clinical oversight and responsibility for Transplantation, Chronic and End Stage Kidney Disease, Bariatric Surgery, Ventricular Assist Devices, Congenital Heart Disease, Spine/Joint Solutions and Complex Cancer. He has been with Optum for 19 years. 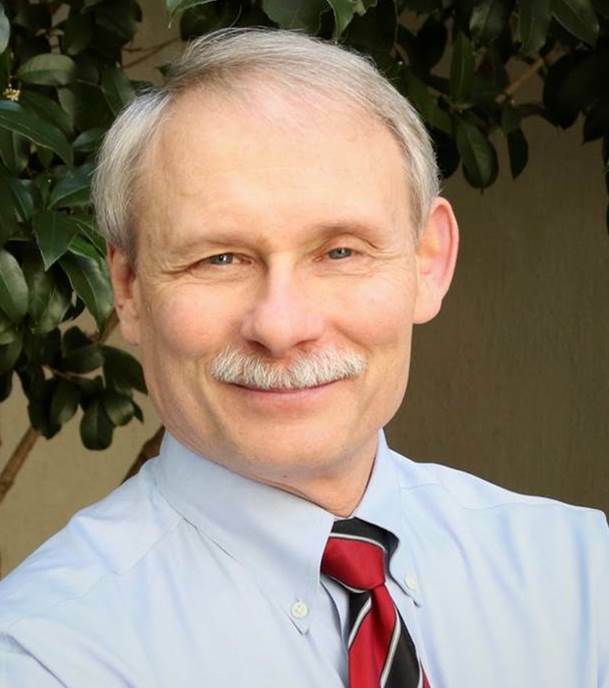 He is Board Certified in both Internal Medicine and Geriatric Medicine. Dr. Friedman is a Fellow of the American Society of Transplantation and received a Distinguished Service Award from AST in June 2016 for his efforts in supporting living kidney donation. Dr. Howard Gebel is a Professor of Pathology and Co-Director of the HLA Laboratory at Emory University Hospital in Atlanta, GA. Dr. Gebel is a frequent lecturer at local, national and international transplant forums in the areas of flow cytometric methodology, antibody screening, and pre and post-transplant evaluation of allograft recipients. He is a senior staff member for the Scientific Registry for Transplant Recipients, providing guidance and advice related to histocompatibility testing. Dr. Gebel was recently elected as a member of the Board of Directors for the American Society of Transplantation. He is an editorial board member for the American Journal of Transplantation, Transplantation Immunology and Human Immunology and an ad-hoc reviewer for several other journals. As Co-Director of the HLA Laboratory at Emory, Dr. Gebel provides clinical consultation to transplant physicians and surgeons and other transplant professionals. Dr. Gebel’s passion is to teach/train the next generation of HLA professionals. Dr. John Gill is Professor of Medicine with Tenure at the University of British Columbia, Division of Nephrology, Saint Paul’s Hospital. John completed his medical training in 2000 (BSc. 1990 UBC, MD 1995 UBC, Internal Medicine 1998 Western University, Nephrology 2000 UBC) and completed a Masters Degree in clinical care research at Tufts University, Boston (2002) before joining the Division of Nephrology at UBC in July, 2002 with a cross appointment in the Centre for Health Evaluation and Outcomes Sciences (CHEOS). 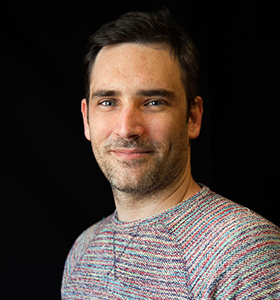 John is an active researcher whose diverse interests include clinical outcomes in kidney transplantation, access to care, clinical trials, health services research and research ethics. He has supervised 20 Masters and PhD candidates. John has published 150 peer reviewed manuscripts and has held peer reviewed research support throughout his career. He was award a CIHR Foundation Grant in the first pilot competition in 2015, and is past recipient of the American Society of Transplantation Clinical Investigator Award. John is Deputy Editor of the American Journal of Transplantation, Treasurer of the American Society of Transplantation (AST) Board of Directors, Executive Member of the Declaration of Istanbul Custodial Group, Past President of the Canadian Society of Nephrology, Past President of the Canadian Organ Replacement Register, and is a former member of the Royal College of Physicians and Surgeons Ethics Committee. 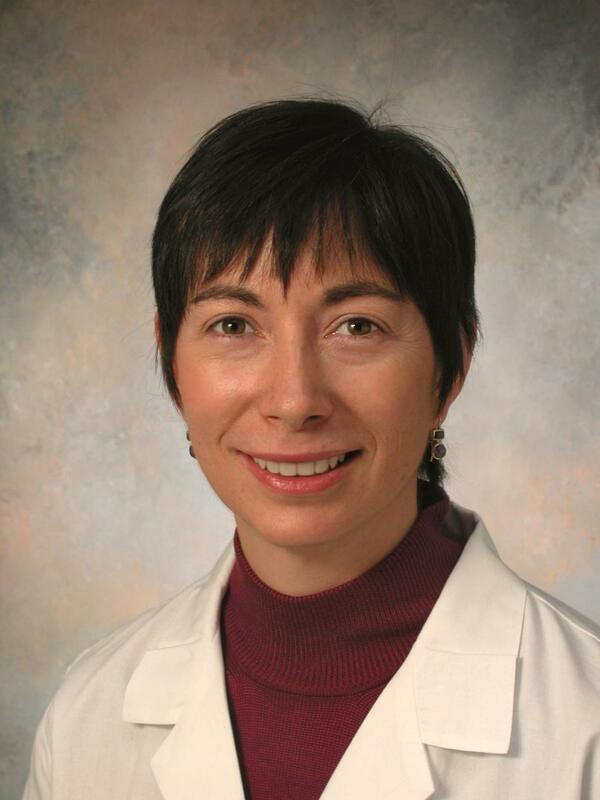 Dr. Elisa Gordon is Professor in the Department of Surgery, Division of Transplantation; Center for Healthcare Studies; and Center for Bioethics and Medical Humanities at Northwestern University Feinberg School of Medicine, in Chicago, IL. Dr. Gordon trained as a medical anthropologist and clinical ethicist. Dr. Gordon conducts mixed qualitative and quantitative research on ethical issues pertaining to organ transplantation and living donation. She also conducts health services research to develop and evaluate interventions designed to optimize informed consent or reduce health disparities. Dr. Gordon has received federal funding support from NIH, HRSA, DOD, and VA and published over 100 peer-reviewed publications. She serves as the Chair of the UNOS Ethics Committee, and on the editorial boards of the journals American Journal of Transplantation and Clinical Transplantation. Dr. Cynthia Gries is the Medical Director of the Lung Transplant Program at Florida Hospital in Orlando, Florida. Dr. Gries attended medical school at the University of Chicago in Chicago, IL. She completed her internal medicine residency at Johns Hopkins University in Baltimore, MD and completed her fellowship at the University of Washington in Seattle, WA. She subsequently completed her masters in Epidemiology at the University of Washington and joined the faculty there. Subsequent to her time in Seattle, she joined the University of Pittsburgh Lung Transplant Program as the Director of Outcomes Research. 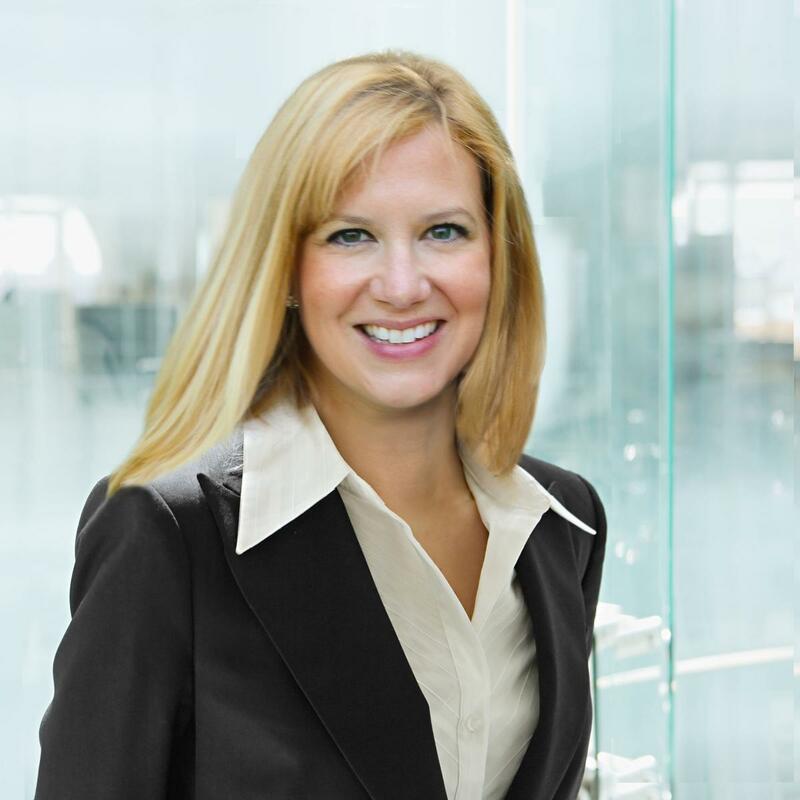 Dr. Gries has an extensive service history with leadership roles in AST, ATS and ISHLT. Her primary interest revolves around lung allocation and improving long term outcomes after lung transplantation by addressing modifiable risks factors at the time of transplantation. Dr. Ramsey Hachem is a Professor of Medicine at Washington University in St. Louis School of Medicine. He is the Medical Director of the Lung Transplant Program at Barnes-Jewish Hospital. He is the current Chair of the Pulmonary Transplantation Council of the International Society for Heart and Lung Transplantation. His research interests include the role of humoral immunity in lung allograft rejection and the prevention and management of chronic lung allograft dysfunction. Dr. Shelley Hall is Chief of Transplant Cardiology, MCS and Advanced Heart Failure at Baylor Dallas and Associate Prof for Texas A&M. She is Co-Chair of TCC COP for AST, Region 4 Rep for UNOS and Chair of the Cardiac Subcommittee of the UNOS Thoracic Committee. She is actively involved in the ISHLT and the heart failure division of the ACC. Her research and professional interest lies in the minimization of treatments and testing for transplant patients. 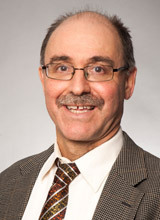 Dr. Philip Halloran is director of the Alberta Transplant Applied Genomics Centre (ATAGC) (http://atagc.med.ualberta.ca/) in Edmonton. He studies basic and clinical aspects of organ transplant rejection and injury as well as immunosuppression, and developed the Molecular Microscope Diagnostic System (MMDxTM) for reading transplant biopsies. He was the founding Editor-in-Chief of the American Journal of Transplantation, with the editorial office at the University of Alberta from 2000 to 2010. He was also the Chairman of the Board of Trustees of the Roche Organ Transplant Research Foundation, a Swiss-based charity. 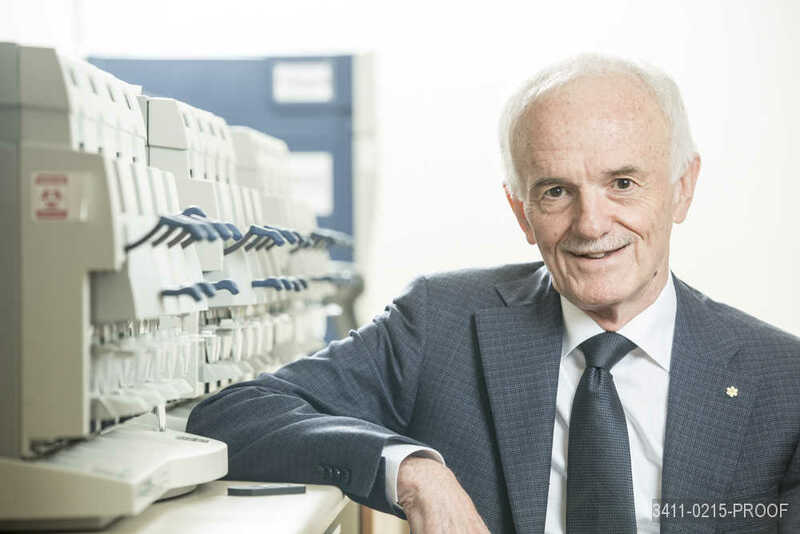 He is an Officer of the Order of Canada, a Fellow of the Royal Society of Canada, and an elected member of the American Society of Clinical Investigation. Awards include the Paul Terasaki Award from the American Society for Histocompatibility and Immunogenetics; the medical research Prix Galien for Canada; and an honorary doctorate from the Faculty of Medicine of the University of Paris. 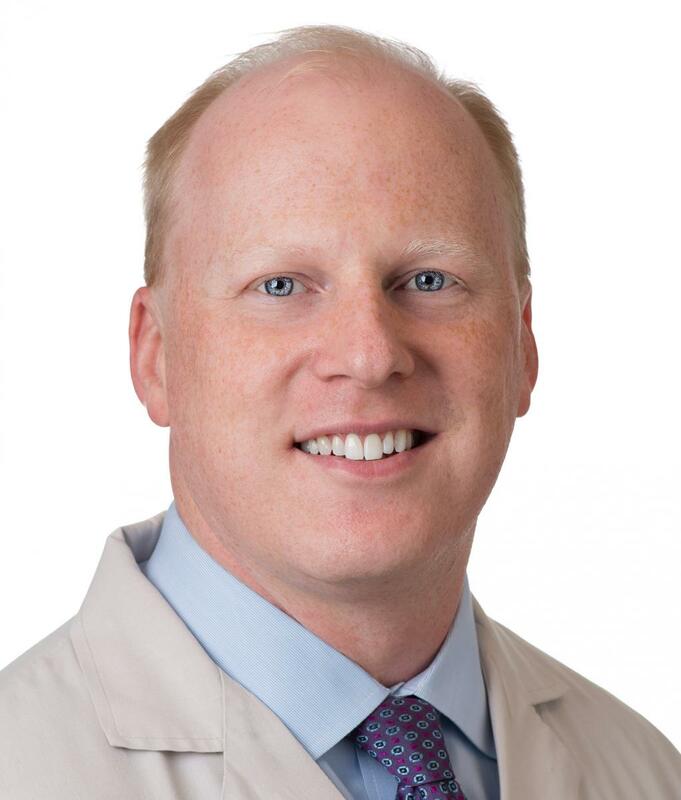 Dr. Peter S. Heeger received his MD from the University of Pennsylvania (Penn), completed medical residency at Temple University Hospital and Nephrology training at the Penn. After developing a research interest in transplantation at Case Western and the Cleveland Clinic, he moved to the Icahn School of Medicine at Mount Sinai (NY) where he directs the Translational Transplant Research Center. Dr. Heeger has been continuously funded through the National Institutes of Health for 22 years and currently leads an NIH consortium, Clinical Trials in Organ Transplantation that conducts trials to assess the utility of noninvasive biomarkers to predict outcomes and guide treatment strategies in transplant recipients. Dr. Heeger’s basic research interests are in mechanisms of allograft injury and tolerance, including studies on interactions between the complement system and adaptive immunity. Dr. Heeger has authored > 200 publications and was the 2011 recipient of the Established Investigator Award from the AST. 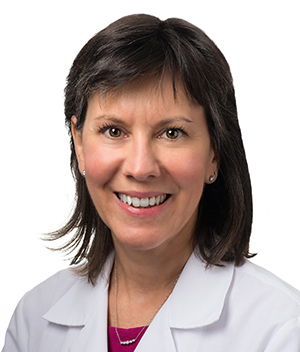 Dr. Julie K Heimbach, M.D. is a Professor of Surgery and the Chair of Division of Transplantation at the Mayo Clinic College of Medicine in Rochester, MN. She received her undergraduate degree from Carleton College and M.D. degree from the University of Minnesota, following which she received her training in General Surgery at the University of Colorado and Fellowship in Transplantation at Mayo Clinic. 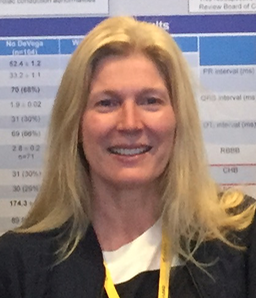 She has dedicated a significant amount of time to UNOS, having served on committees and the Board of Directors, and is currently the chair of the liver-Intestine committee. Dr. Heimbach is on the Governing Board of the AASLD, an Associate Editor for the American Journal of Transplantation, and was recently elected to serve on the ASTS coucil. Her clinical and research interests include liver transplantation for hepatobiliary malignancies, living donor transplantation, and obesity in liver transplantation. Stanley Jordan, MD, FASN, FAST After receiving his undergraduate and medical degrees from the University of North Carolina, Chapel Hill, Dr. Jordan completed a pediatric internship and residency at the University of California, Los Angeles. He completed three fellowships: one in pediatric nephrology at UCLA, one in experimental pathology in the Department of Immunology at Scripps Clinic and Research Foundation, and the third in dialysis and transplantation at Children's Hospital of Los Angeles. He is board certified in pediatrics, pediatric nephrology and diagnostic laboratory immunology. 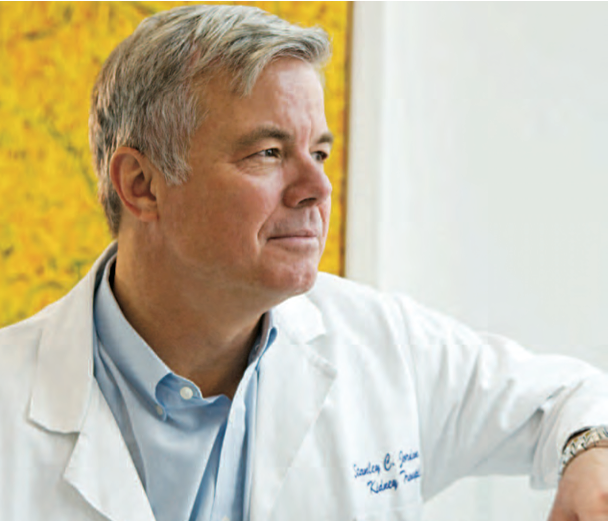 For more than three decades, Dr. Jordan has focused his research on the immunology of antibody rejection and development of novel immune modulatory therapies to combat this condition. His work is funded by the NIH and grants from biotechnology firms aimed at developing novel therapies in transplant medicine. He has published more than 340 peer reviewed manuscripts and has 7 patent applications pending. Dr. Jordan has extensive experience with desensitization for incompatible kidney transplantation and currently has 13 investigator-initiated clinical trials examining novel therapies for desensitization and treatment of antibody-mediated rejection. 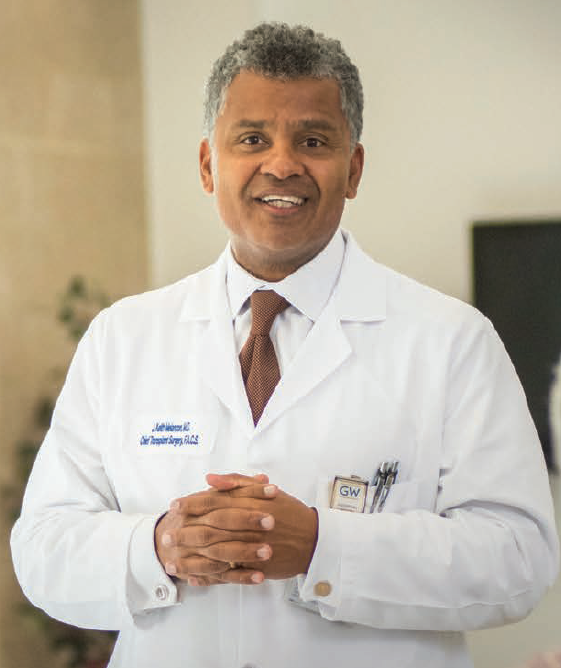 Dr. Jordan and his work have been recognized by his peers and include his being the recipient of the National Kidney Foundation “Gift of Life Award” and the Distinguished Alumni Award from the University of North Carolina Chapel Hill. Recently, he was honored with the inaugural Cedars-Sinai Prize for Research in Scientific Medicine (PRISM), conceived to recognize outstanding scientific and medical breakthroughs, the Pioneer in Medicine Award (also from Cedars-Sinai), the Award for Outstanding Achievement in Transplantation (Clinical ) from the Transplantation Society, the Jean Hamburger Award for outstanding research in nephrology from the International Society of Nephrology and the Senior Achievement Award in Clinical Transplantation from the American Society of Transplantation. 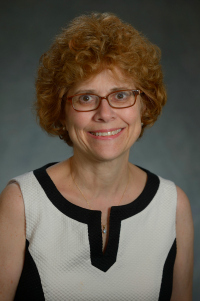 Dr. Michelle Josephson is Professor of Medicine and Surgery and serves as Medical Director of Kidney and Pancreas Transplantation and Program Director of the Transplant Nephrology Fellowship. After receiving her MD from University of Pennsylvania she completed a medical internship, residency and nephrology fellowship at University of Chicago. In 1992 she came on staff as the first transplant nephrologist at University of Chicago. Her mission is to improve the care and outcome of the medically complex transplant patient through direct care, education and clinical research. Her research projects examine the live kidney donor, post-transplant bone disease, BK virus, and post-transplant pregnancy. She is deeply committed to education having established University of Chicago’s transplant nephrology fellowship and previously served on AST’s Transplant Nephrology fellowship Training Accreditation Board. She was a Councilor for the Board of the American Society of Transplantation. Dr. Dixon Kaufman received his medical, general surgical and transplant surgery training at the University of Minnesota (1979-1992). He was a faculty member at the Feinberg School of Medicine of Northwestern University (1992- 2011) where he started the pancreas and islet transplant programs. 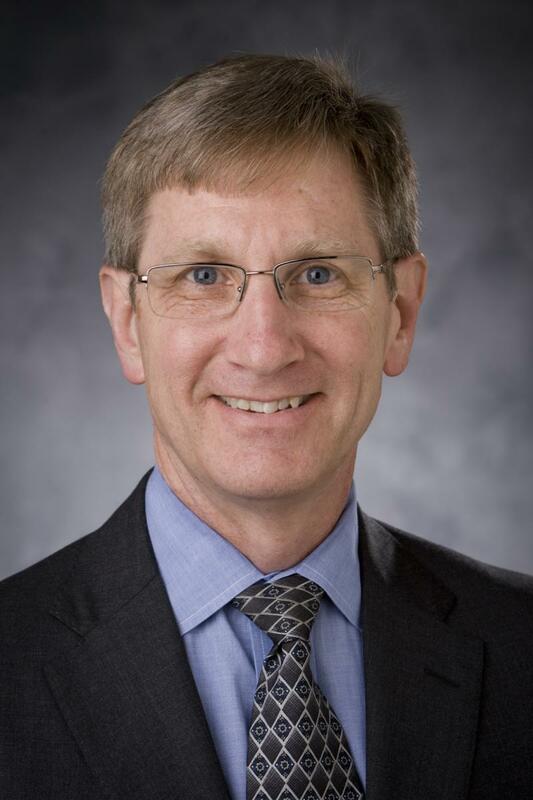 He is currently the Ray D. Owen Professor and Chair of the Division of Transplantation, and Director of the UW Health Transplant Service Line of UW Health at the University of Wisconsin . He continues his active practice of transplantation surgery with a clinical focus on kidney and pancreas transplantation. He was the first in the U.S. to conduct pancreas transplants using protocols of alemtuzumab induction immunotherapy, and prednisone-free immunosuppression. Dr. Kaufman has held national leadership positions in many facets of the transplant field. He is currently President of the ASTS. Dr. Allan D. Kirk is the David C. Sabiston, Jr. Distinguished Professor of Surgery at Duke University. He also holds secondary professorships in Immunology and Pediatrics, and serves as Chairman of the Department of Surgery and Surgeon-in-Chief for the Duke University Health System. Dr. Kirk received his MD and PhD in Immunology at Duke, and completed a surgery residency at Duke. He completed an organ transplant fellowship at the University of Wisconsin. Dr. Kirk served as a Senior Investigator at the NIH and as Chief of the Transplantation Branch for NIDDK from 2001-2007. In 2007, he moved to Emory University, as Professor and Vice Chair for Surgical Research. Since 2014, he has been in his current position at Duke. His scientific work has been focused on translational development of anti-rejection therapies in organ transplantation. He is also the Editor-in-Chief for the American Journal of Transplantation and a Fellow of the ACS. Dr. Jon Kobashigawa, MD serves as the Director of the Advanced Heart Disease Section and Director of the Heart Transplant Program at the Cedars-Sinai Smidt Heart Institute. He is the DSL/Thomas D. Gordon Professor of Medicine and is recognized nationally and internationally as a leader in the heart transplant field. He is a past President of the ISHLT, a past chair of the American College of Cardiology Committee on Heart Failure and Transplantation, a past member of the National Thoracic Committee of UNOS, and a current member of the Board of Directors of the AST. Dr. Kobashigawa has published over 350 peer-reviewed articles, chapters and monographs in the field of heart transplantation and has chaired several multi-center heart transplant studies. He has published in prestigious journals including the New England Journal of Medicine, Circulation and the Journal of the American College of Cardiology. 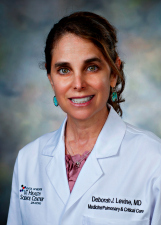 Dr. Deborah Levine is a Lung Transplant Physician, Professor of Medicine, and Medical Director of the Lung Transplant Program at UT San Antonio. She has been a leader in the field of lung transplant in leadership positions, research, and clinical endeavors. She has tirelessly been involved with every aspect of the management of lung transplant recipients. Early in her career, she coauthored a paper regarding the management of lung donors. She has subsequently been involved in teaching several OPOs the details of lung donor management, including hands on bronchoscopy techniques. She recently developed and led a consensus conference regarding antibody mediated rejection in lung transplantation. This led to an important paper in the field of lung transplant. In addition, she has been on the Program Committee and several working groups in the International Society of Heart and Lung Transplant Society evaluating important concepts in lung transplant. She has held a leadership position as the Lung Transplant Chair in the American College of Chest Physicians. During this time, Dr. Levine organized several symposia around Antibody medicated rejection, donor management, immunosuppression, lung allocation system, and complications after transplantation, including acute and chronic rejection as well as infectious complications. She has been becoming more involved in the AST over the last few years in the Thoracic and Critical Care Community of Practice (TCC COP), the STAR AMR committee, lecturing and chairing in the annual meeting, and in chairing the abstracts for lung transplantation. Her goal is to become more involved with the TCC COP to help the growing involvement of lung transplant physicians in the COP and the AST organization. She is very interested in creating more education of lung transplantation to the AST. 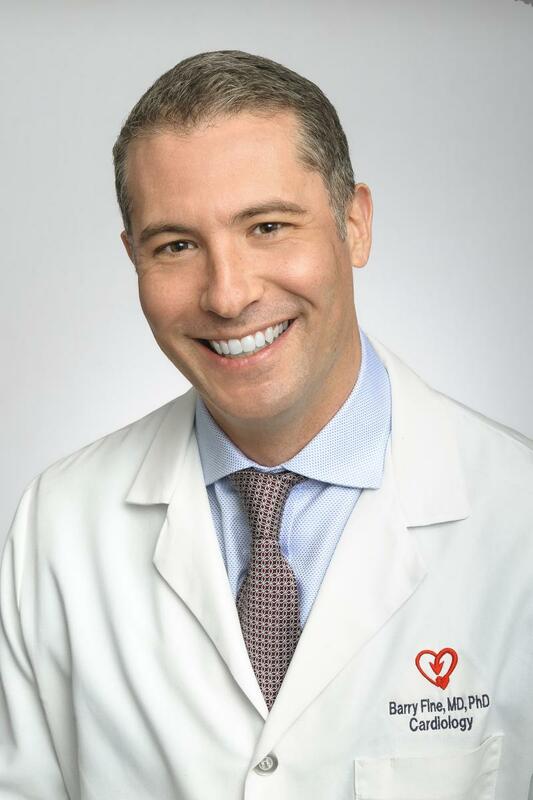 Dr. Josh Levitsky, MD, MS is currently a Professor of Medicine and Surgery in the Division of Gastroenterology & Hepatology at the Northwestern University Feinberg School of Medicine. He is an active member of several professional societies, including the American Society of Transplantation, AASLD and ILTS where he served on the executive boards. He is a Deputy Editor for the American Journal of Transplantation. Dr. Levitsky’s academic interests are clinical and translational in nature, with a focus on liver transplant immunosuppression, tolerance and biomarkers. He is the principal and co-investigator for a number of NIH, pharmaceutical and investigator-initiated trials. 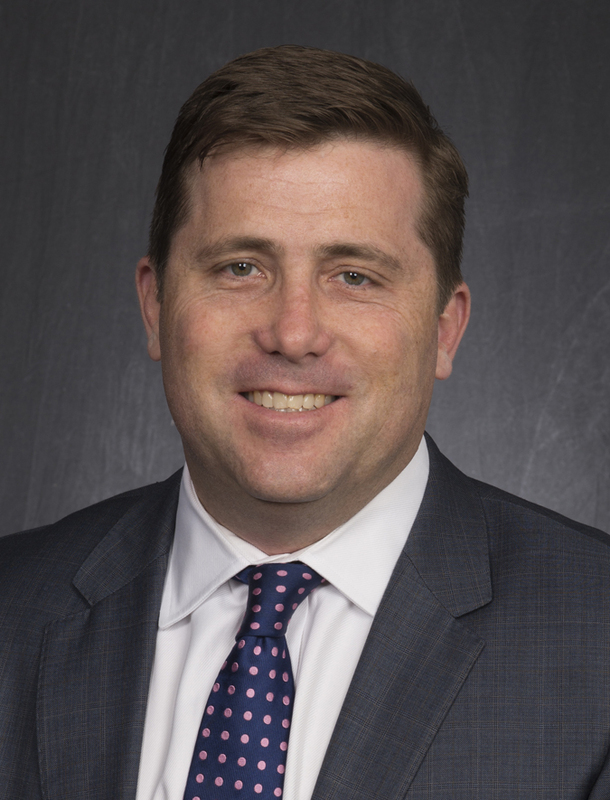 At Northwestern, he is currently the Gastroenterology and Transplant Hepatology Fellowship Program Director and Director of Liver Transplant Research. Alexandre Loupy (MD, PhD) is a professor of Nephrology and Epidemiology working in the kidney transplant department of Necker hospital, University of Paris Descartes Paris France. A. Loupy is heading the Paris Expertise Centre for organ transplantation in PARCC U970 (http://www.paristransplantgroup.org/) which includes nephrologists, pathologists, cardiologists, immunologists, bioinformaticians, statisticians, epidemiologists, basic scientists. A. Loupy academic activities are focused on allograft transplantation, rejection in multidimensional computational models developed at population levels. A. Loupy is currently developping an integrated system in organ transplantation: the iBOx, that integrates multidimensional information for risk stratification and diagnostic of response to therapy to improve graft survival based on machine learning algorithms and Artificial intelligence. This system aims to set the stage towards personalized transplant medicine by providing end points for clinical trials with insights for therapy and patient clinical management. 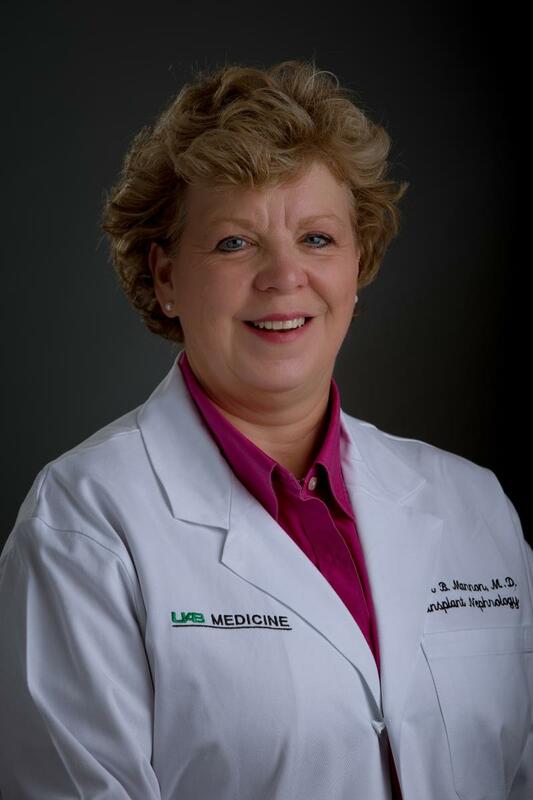 Dr. Roslyn Mannon is a Professor of Medicine and Surgery at the University of Alabama at Birmingham, Section Chief for Transplant Nephrology and Director of Research for the Comprehensive Transplant Institute. Dr. Mannon is a Fellow of the American Society of Nephrology and AST. She received her MD from Duke University, completing Internal Medicine internship, residency and Nephrology fellowship and Chief Resident at Duke. Dr. Mannon is a past-president of the AST and is an Associate Editor for the Journal of the American Society of Nephrology and the American Journal of Transplantation. Mannon’s laboratory research focuses on mechanisms of chronic graft injury using in vitro and rodent models of kidney transplantation and is funded by the Veterans Administration. Dr. Mannon is site PI for the CTOT, and on the CTOT Steering Committee. She has published over 150 peer-reviewed publications on the mechanisms of chronic allograft failure following transplantation. Elizabeth McNally directs the Center for Genetic Medicine at Northwestern University’s Feinberg School of Medicine and is the Elizabeth J. Ward Professor of Genetic Medicine. Dr. McNally is a cardiologist with an expertise in cardiac genetics. She established one of the first cardiovascular genetics clinics in the nation and her work focuses on understanding genetic mechanism of cardiovascular disease and developing new approaches for genetic correction. She has also been recognized for her translational work by the Burroughs Wellcome Foundation and as a recipient a Distinguished Clinical Scientist Award from the Doris Duke Charitable Foundation. 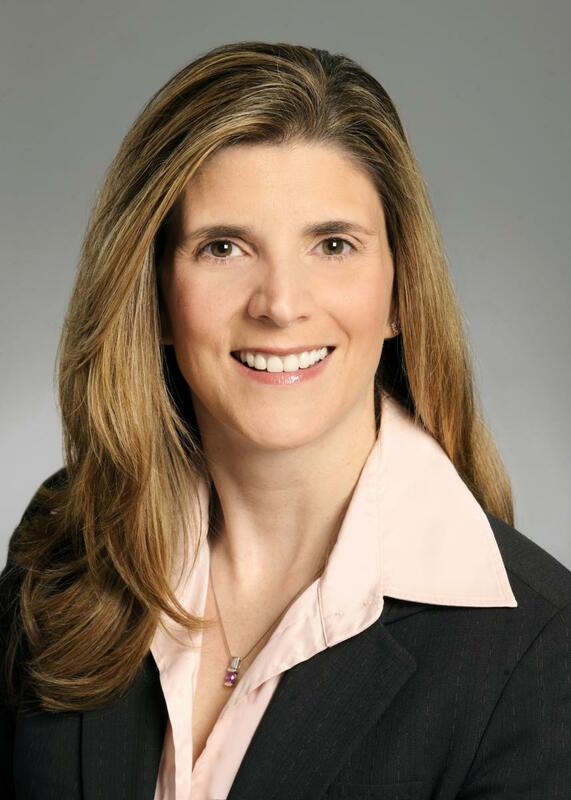 She serves on the Advisory Boards for the Muscular Dystrophy Association, Parent Project Muscular Dystrophy, and is the Vice Chair for the Council on Basic Cardiovascular Sciences of the American Heart Association. She is a past president of American Society for Clinical Investigation and a member of the Association of American Physicians. Dr. Ulf Meier-Kriesche. Physician, board certified in Nephrology and specialized in Transplantation with 20 years clinical practice experience in the US, Italy and Germany. Seven years in the industry with experience in Medical Affairs, Drug Development and Outcomes Research in Nephrology, Lupus, Lupus Nephritis, Transplantation, Gastroenterology, Oncology, and Dermatology. 170 scientific trend-setting publications in peer reviewed journals and over 200 scientific presentations worldwide. Excellent interpersonal and leadership skills. Established track record in building high performing teams and acting as "change agent" through challenging transitions. Dr. J. Keith Melancon is currently the Director of the George Washington Transplant Institute and the Medical Director of The Ron and Joy Paul Kidney Center at George Washington University Medical School. Dr. Melancon is a Professor of Surgery whose specialties include kidney, pancreas and liver transplantation as well as laparoscopic kidney donor nephrectomy. Dr. Melancon has spent his career trying to improve outcomes for the hardest to transplant patients and therefore has been an advocate for ABO incompatible organ transplantation, paired kidney exchanges, and immune system desensitization strategies. Recently Dr. Melancon and his team were the first ever to perform a fully ABO incompatible deceased donor kidney transplantation as well as a fully ABO incompatible living donor kidney transplantation in an individual with HIV infection. Dr. Melancon hopes that with novel immunosuppression protocols true transplant tolerance can be achieved. 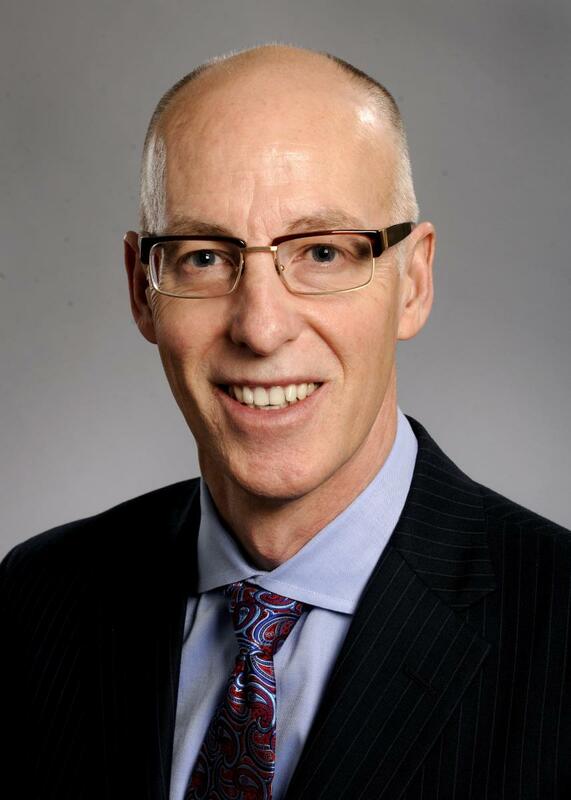 Dr Michael Mengel is Chair and Clinical Department Head for Laboratory Medicine and Pathology at the University of Alberta and with Alberta Health Services in Edmonton, Canada. As a sub-specialized Transplantation and Renal Pathologist, Dr. Mengel is engaged in various international sub-specialty societies related to nephropathology and organ transplantation: past Chair Transplant Diagnostics Community of Practice in the American Society of Transplantation; Board member International Banff Foundation for Allograft Pathology; President of the Canadian Society of Transplantation; Board member with the Renal Pathology Society.He studied medicine at the Semmelweiss University in Budapest, Hungary before going on to specialise in pathology and further in transplantation pathology and nephropathology. Before moving to Edmonton provided transplant pathology service at the Hannover Medical School, Germany. Dr. Mengel has published widely in his field and his current work is focused on applying molecular techniques to biopsy specimens, with the aim to increase diagnostic precision in organ transplantation. 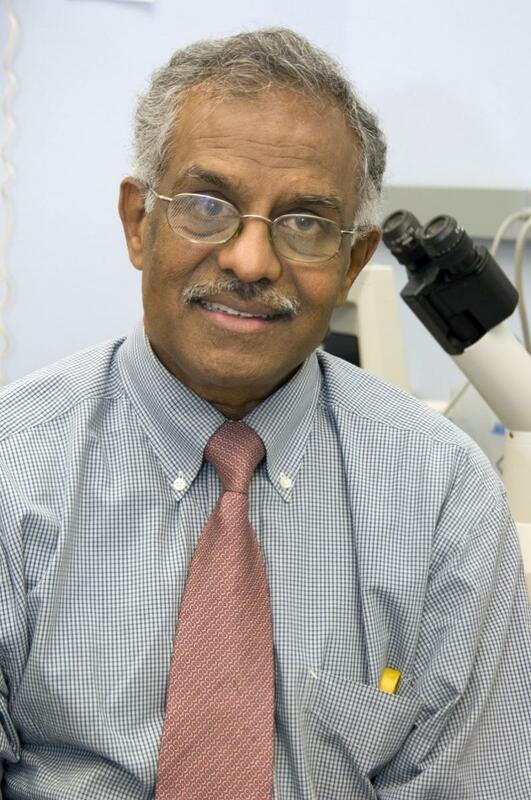 Dr. Thalachallour Mohanakumar, PhD, Director, Norton Thoracic Institute Research Laboratory, is an internationally renowned organ transplant scientist and collaborator and mentor. He has made contributions regarding the structure and function of peptides and their role in preventing organ rejection, particularly in kidney and lung transplants, and in defining the human immune responses to pig organs. 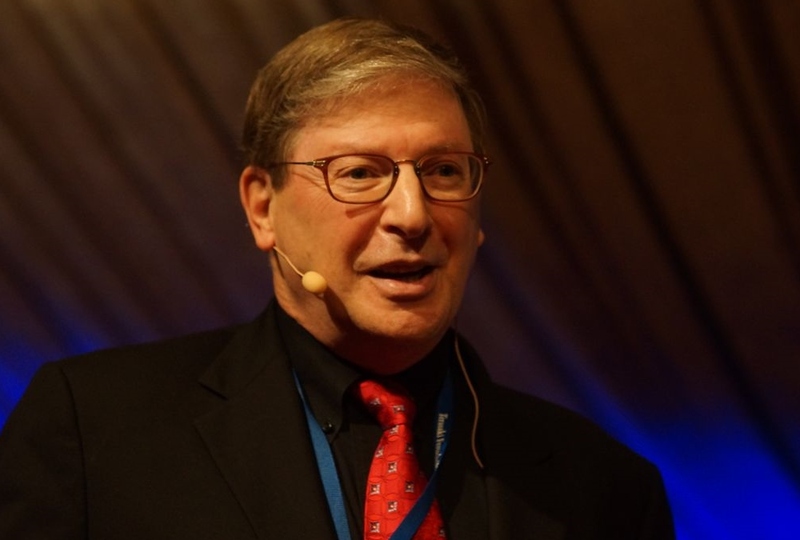 He has been a mentor to scientists in transplant immunology and histocompatibility. His former trainees are heads of abdominal transplant programs, research and development in industry, and directors of histocompatibility laboratories. He has received national awards from the American Society of Transplantation, American Society of Histocompatibility and Immunogenetics, and Juvenile Diabetes Research Foundation. He received his doctoral degree from Duke University and concluded his postdoctoral training at Duke. After serving on the faculty of the Medical College of Virginia for 11 years, Washington University for 30, he joined the NTI at St. Joseph’s Hospital in 2016. 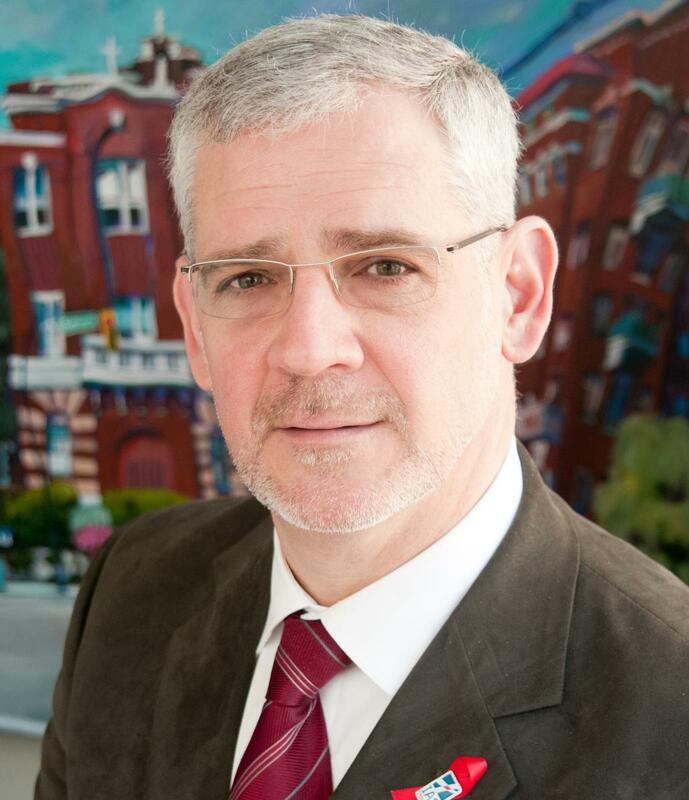 Dr. Julio Montaner is a Killam Professor of Medicine at the University of British Columbia and also holds the endowed Chair in AIDS Research. He is the Director of the BC Centre for Excellence in HIV/AIDS, a Past-President of the International AIDS Society and the UNAIDS Global Advisor on HIV Therapeutics (2014-2017). He was the founding head of the Division of AIDS for a decade in the Department of Medicine at UBC (2007-2017). He played a key role in establishing the efficacy of Highly Active Antiretroviral Therapy (HAART) and since then has established the role of Treatment as Prevention® (TasP®) using HAART to simultaneously decrease progression to AIDS and death, as well as HIV transmission. Dr. David Nelson is Chief of Heart Transplant Medicine at Integris Nazih Zuhdi Transplant Institute in Oklahoma City. He was UNOS Region 4 Councillor and has served on the AST, UNOS and Alliance Boards, as well as the UNOS Thoracic Scientific Advisory and DTAC committees. He founded the AST Thoracic and Critical Care COP and co-founded the AST Recovery and Preservation COP. He co-chaired the HRSA Donor Management Research Consensus Conference. Dr. Kenneth Newell is a past President of the American Society of Transplantation. He holds the rank of Professor of Surgery with Tenure and Vice Chair for Academic Affairs at Emory University. His professional activities are restricted entirely to transplantation. He is an active transplant surgeon whose clinical practice focuses on kidney transplantation in adults and children, pancreas transplantation, and living kidney donation. His research interests span the spectrum from basic investigation to translational studies and clinical trials. He is also the PI, protocol chair, or an investigator for several NIH and ITN clinical studies. He has served as a member of the steering committee for the NIH sponsored CTOT consortium as well as chair of the Mechanistic Studies Committee for CTOT and CTOT-C. He is an associate editor for the American Journal of Transplantation and is a frequent reviewer for the NIH, the ITN, and CIHR. Dr. Mark Nicolls specializes in the treatment of lung transplant patients. He has practiced pulmonary and critical care medicine for more than 18 years. 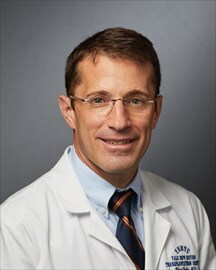 Dr. Nicolls has a special interest in how the immune system contributes to vascular disease and has a basic science laboratory which focuses on lung transplantation, pulmonary hypertension, and lymphedema..
Jonah Odim is Chief of Clinical Transplantation, Transplantation Branch, at National Institute of Allergy and Infectious Diseases (NIAID) at the National Institutes of Health (NIH). Prior to NIH he was Associate Professor of Cardiothoracic Surgery, Director of the Pediatric and Adult Cardiac Surgical ICU, and Director of Heart and Lung Procurement and Preservation/Transplantation at the UCLA School of Medicine. In 2001 he received the UCLA outstanding physician award from the UCLA Medical Center. Jonah Odim is a graduate of Amherst College (BA), Yale University (MD), McGill University (PhD), and University of California (MBA). He completed his General Surgery residency at University of Chicago Hospitals and Clinics, Cardiac, Thoracic and Vascular Surgery fellowships at McGill University Hospitals and Clinics, and a Congenital Heart Surgery fellowship at Boston Children’s Hospital, Harvard University. Dr. Jignesh Patel, MD, PhD, FACC, FRCP is the Medical Director of the Heart Transplant Program and Director, Cardiac Amyloid Program at the Smidt Heart Institute at Cedars-Sinai. He is Clinical Professor of Medicine. He earned his medical degree at the University of Cambridge. He completed training in cardiovascular diseases and earned his doctorate in vascular biology and physiology at UCLA. He is a Fellow of the Royal College of Physicians of the UK. Dr. Patel has been the principal investigator or co-investigator of more than 25 research projects in areas related to heart failure, including cardiac amyloidosis and cardiac transplantation, and has published more than 70 peer reviewed articles. 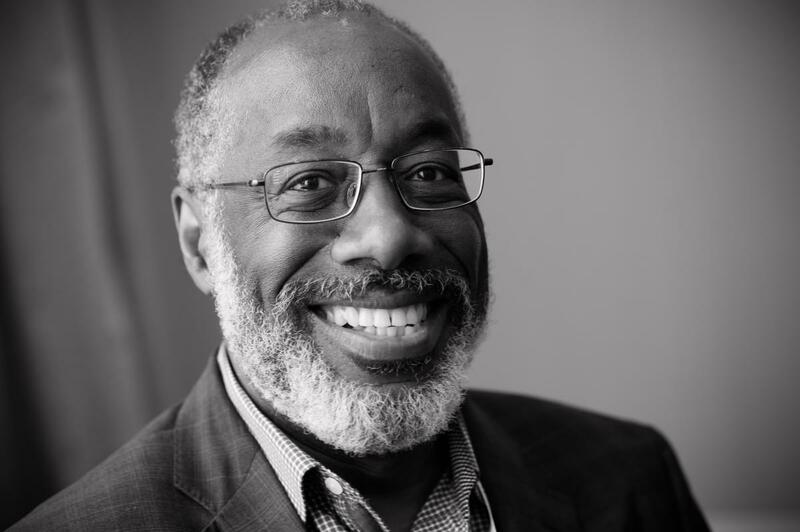 Neil R. Powe, MD, MPH, MBA is Chief of Medicine at the Priscilla Chan and Mark Zuckerberg San Francisco General Hospital and the Constance B. Wofsy Distinguished Professor and Vice-Chair of Medicine at the University of California San Francisco. Dr. Powe’s work unites Medicine and Public Health. His landmark investigations of outcomes in chronic kidney disease, particularly on health disparities, have influenced clinical practice and policy. In 450 publications, he has studied early referral of CKD patients, patient-physician contact in dialysis care, race differences in cardiovascular procedure use among CKD patients, effect of treatment modalities on survival, outcomes of emergent vs standard hemodialysis for immigrants, outcomes of dialysis care by type of ownership and access to transplantation. 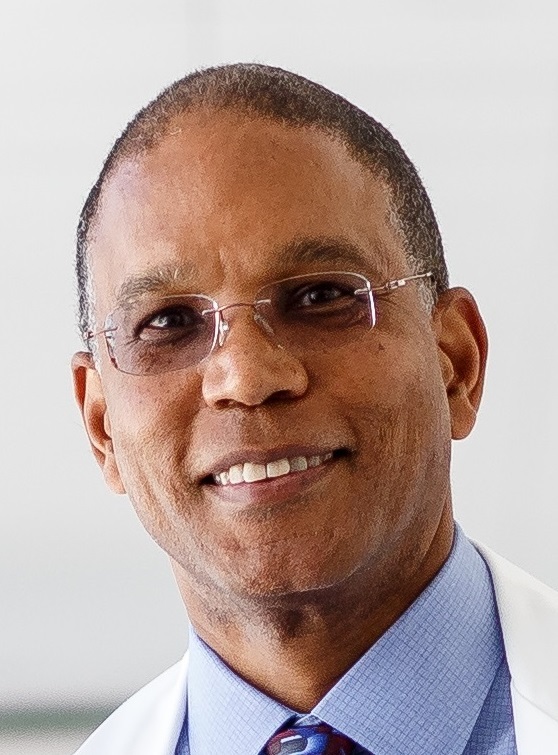 Dr. Powe earned his MD at Harvard Medical School and his MPH at Harvard School of Public Health and residency and fellowship at the University of Pennsylvania. 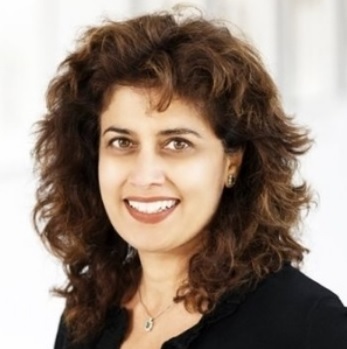 Dr. Minnie Sarwal is Professor of Surgery, with joint appointments in Medicine and Pediatrics, Director of Precision Transplant Medicine at the University of California San Francisco (UCSF). 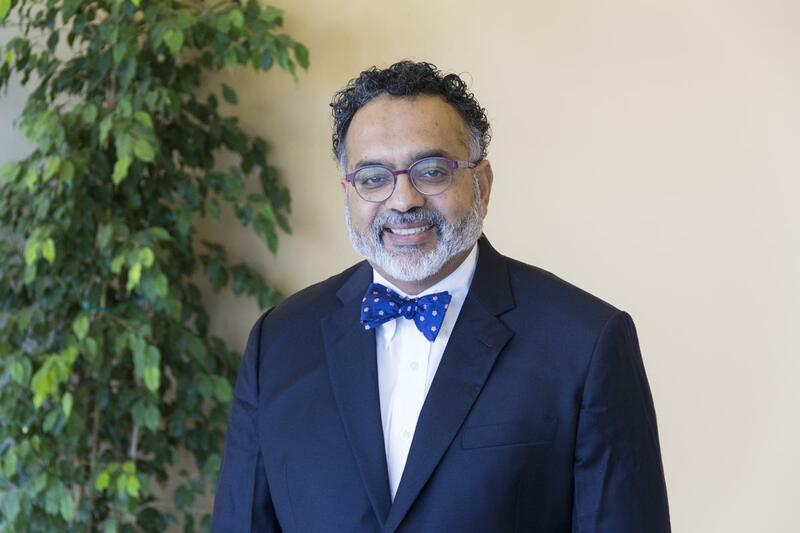 Dr. Sarwal serves on NIH study sections as a regular and an ad hoc reviewer, and is a member of several national and international academic societies and has served for many organizations in leadership capacities, such as ASTS, TTS, IPTA, and ASN. Dr. Sarwal’s clinical interests focus on personalizing transplant immunosuppression, monitoring and management of metabolic renal diseases such as cystinosis and oxalosis, and proteinuric renal diseases such as Diabetic kidney disease, IgA and FSGS. 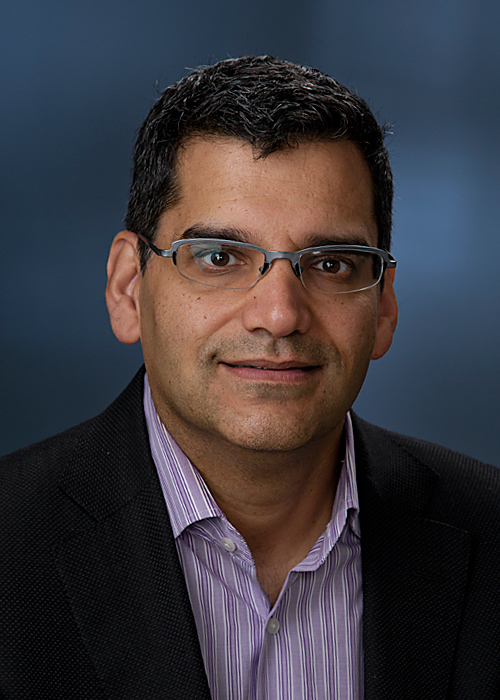 Dr. Sarwal’s research is centered on computational and translational science in renal diseases, on the immunobiology and computationally driven monitoring for organ transplantation and rational immunosuppression trial design. Her career has been marked by over 200 peer reviewed publications and awards and distinctions. Dr. Deirdre Sawinski is a transplant nephrologist and epidemiologist. 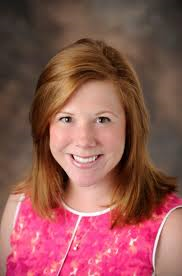 She is interested in transplant outcomes for patients with chronic viral infections, organ allocation and means of increasing the organ donor pool. Dr. Jesse Schold, PhD, M.Stat., M.Ed. is an Full Staff member in the Department of Quantitative Health Sciences. He is also currently the Director of the Center for Populations Health Research at the Lerner Research Institute. He received his undergraduate training at Emory University, two Masters degrees at North Carolina State University and a Doctorate at the University of Florida. Dr. Schold’s research interests include large database analyses, quality metrics, health services research, disparities in healthcare and statistical and epidemiological methods. Dr. Schold has authored over 230 peer-reviewed scientific publications with primary focus in organ transplantation. He has served on numerous national committees and a former Board member of the American Society of Transplantation and has been a Co-investigator on multiple extramural funded studies. Dr. Schold has given over 150 invited national and international lectures and peer-reviewed abstract presentations at scientific conferences. 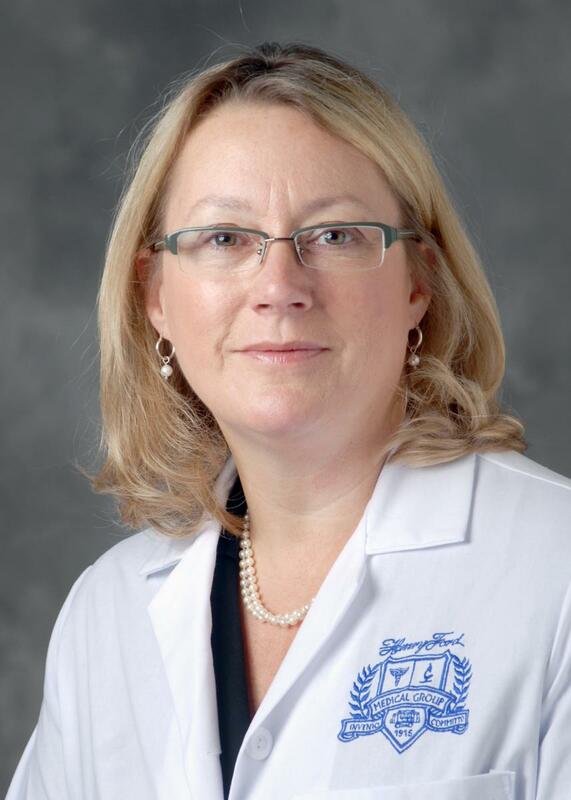 Dr. Marina Serper, MD, MS is a transplant hepatologist and Assistant Professor of Medicine in Gastroenterology at the University of Pennsylvania Perelman School of Medicine and Staff Physician at the Corporal Michael J Crescenz VA Medical Center in Philadelphia. Dr. Serper is a health services researcher with a Master’s Degree in Health Services and Outcomes Research from Northwestern University. Dr. Serper’s research focuses on: 1) investigating barriers to access and high quality care for patients with liver disease, 2) designing behavioral and health-system interventions utilizing health technology to improve care delivery and outcomes in chronic liver disease and liver transplantation, 2) evaluating how health literacy, medication understanding, and cognitive function affect medication adherence, self-care and health outcomes. 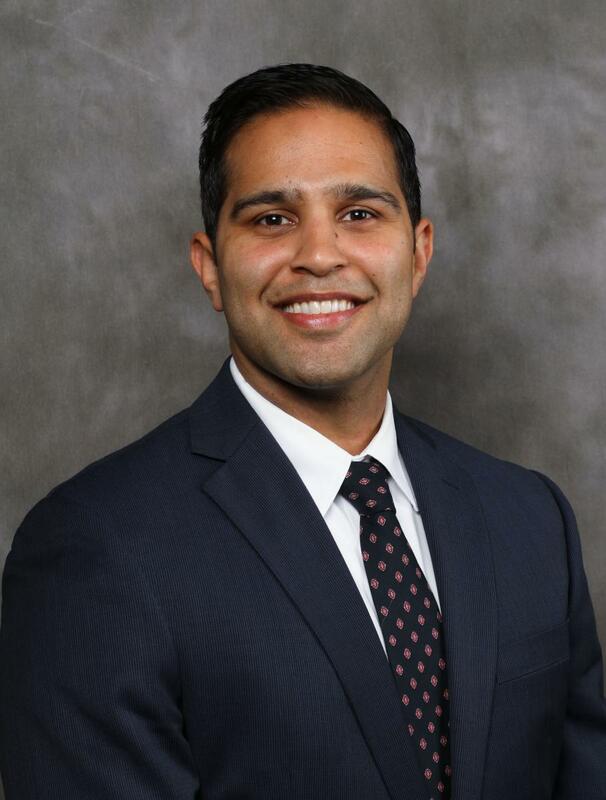 Dr. Kevin S Shah, MD is an Advanced Heart Failure and Transplant Cardiology Fellow at the Cedars Sinai Heart Institute in Los Angeles, CA. He received his medical degree from University of California, Irvine and completed his residency in Internal Medicine at the University of California San Diego. He went on to complete his training in Cardiovascular Disease at University of California Los Angeles. Dr. Shah has published numerous peer-reviewed articles and given presentations and local and international heart failure meetings. He has won multiple awards early in his career, including the House Officer of the Year, Kaiser Excellence in Teaching Award, and the William W. Parmley Young Author Achievement Award from JACC. He serves on American Society of Transplantation (AST) Thoracic and Critical Care Community of Practice Executive Committee. Dr. Palak Shah, MD, MS is a researcher and transplant Cardiologist at the Inova Heart and Vascular Institute in Falls Church Virginia. Dr. Shah’s clinical interests include advanced cardiomyopathies, mechanical circulatory support and cardiac transplantation. He received his undergraduate training from Carnegie Mellon University and medical degree from St. George’s University. He subsequently completed residency in Internal Medicine at Georgetown University and was Chief Medical Resident. During his Cardiovascular Disease Fellowship at George Washington University he received a Master’s in Clinical and Translational Research and was also elected into the Alpha Omega Alpha honors society. 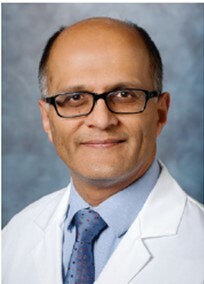 Dr. Shah received his Heart Failure and Cardiac Transplant training at the University of Michigan. 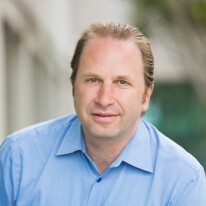 His research interests are focused in mechanical circulatory support and cardiac transplantation; more specifically use of next-generation sequencing to better identify circulating biomarkers to predict allograft rejection in cardiac transplantation and transcriptome signatures that predict myocardial recovery with mechanically-assisted circulation. Dr. Titte Srinivas is a transplant nephrologist with Intermountain Healthcare. He has had extensive clinical experience in kidney and pancreas transplantation spanning the last 17 years. He comes to Intermountain Healthcare having previously served at the Medical University of South Carolina as the Director of Transplant Nephrology and at the Cleveland Clinic and the University of Florida prior to that. His clinical practice spans the gamut of transplant nephrology with a special focus on paired kidney donation. His research interests are centered on outcomes of kidney transplantation, living donor wellness, clinical trials in immunosuppression and Precision Medicine and Big Data Predictive Analytics in Kidney Transplantation and Chronic Kidney Disease. Dr. Anat Tambur is Director of the Transplant Immunology Laboratory and a Research Professor at the Comprehensive Transplant Center, Northwestern University, Chicago, IL. 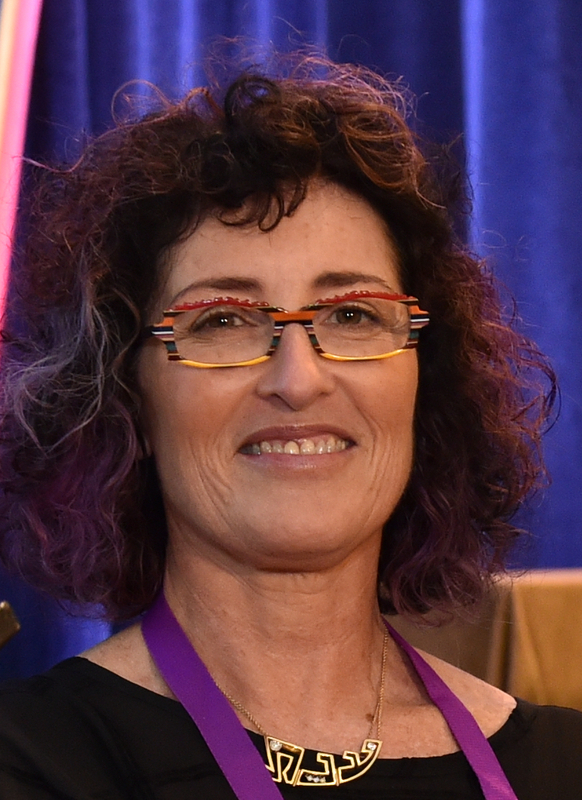 Anat served as President of the American Society – and the American Board for Histocompatibility and Immunogenetics (ASHI; ABHI), a Board Member of the United Network for Organ Sharing (UNOS) and multiple ASHI Educational-related committees. Clinically, she is involved with all solid and stem cell transplant programs at NU and has contributed mainly to the desensitization program for kidneys and hearts as well as to the Kidney Paired Exchange program at Northwestern. She serves as an Associate Editor for the American Journal of Transplantation (AJT), Human Immunology, Clinical Transplantation, and HLA. Dr. Giuliano Testa was instrumental in starting the first Adult-to-Adult Living Donor Liver Transplant Program in Europe while at the University of Essen in Germany between 1998-2001. In 2001, he was recruited as Associate Professor of Surgery and Director of the Liver Transplant Program at the University of Illinois at Chicago. In 2005, he moved to the University of Chicago as Director of Liver Transplant and Hepatobiliary Surgery and rose to the rank of Professor of Surgery. Dr. Testa was recruited by Baylor University Medical Center in July 2011 to lead the Living Donor Liver Program. In August of 2015, he became the Surgical Chief of Abdominal Transplant for the Simmons Transplant Institute and in December 2017 was promoted to Chief. He is a recognized authority in the field of Living Donor Liver Transplantation and Living Donor Intestinal Transplantation with a new interest in Uterus Transplantation. 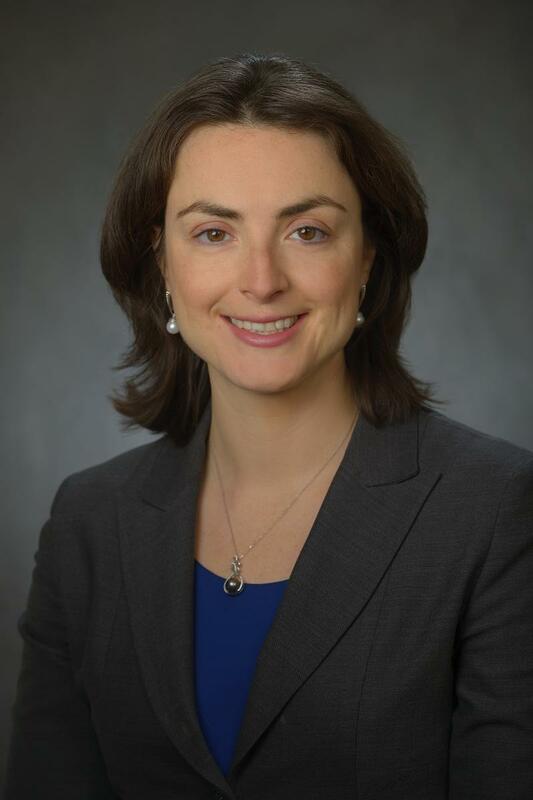 Dr. Nicole Turgeon is currently a kidney/pancreas transplant surgeon and serves and director of the Living Donor Program at the Emory Transplant Center and Surgical Director of the Kidney Transplant Program at Children’s Healthcare of Atlanta. She trained in General Surgery at the University of Massachusetts and subsequently completed a Multi-Organ Transplantation Fellowship at the University of Wisconsin. She has been has been a member of the Emory University Faculty for 11 years. 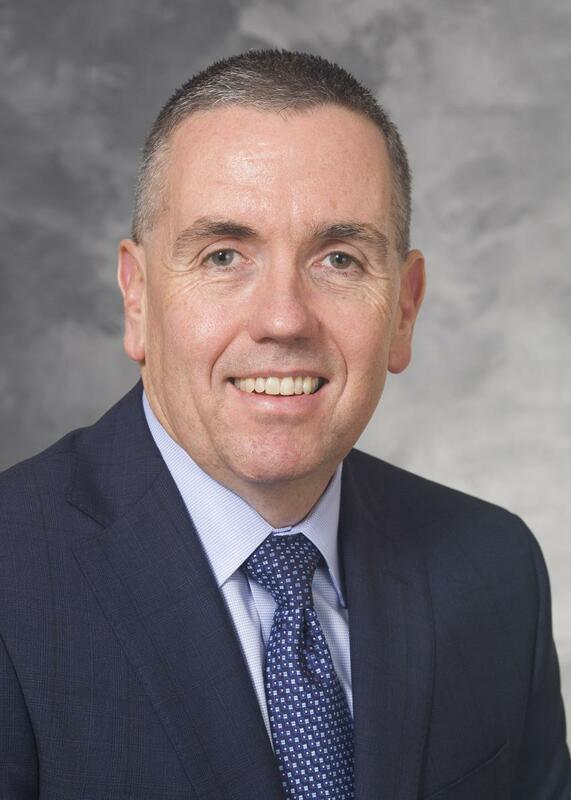 As Professor of Surgery, Dr. Turgeon’s academic interests include organ donation and utilization, adult and pediatric renal transplantation, pancreatic transplantation and clinical and investigational islet cell transplantation. She has served as an Investigator and PI on numerous grants funded by the NIH and other organizations. Her research has appeared in a number of nationally and internationally recognized research journal. As a member of the AST since 2005, Dr. Turgeon currently serves on the Board of Directors. Dr. Nicole Valenzuela obtained her PhD in Cellular and Molecular Pathology, followed by a post-doctoral fellowship, studying the mechanisms of antibody-mediated rejection. Subsequently she went on to a clinical fellowship in Immunogenetics and Histocompatibility and obtained board certification in 2016. 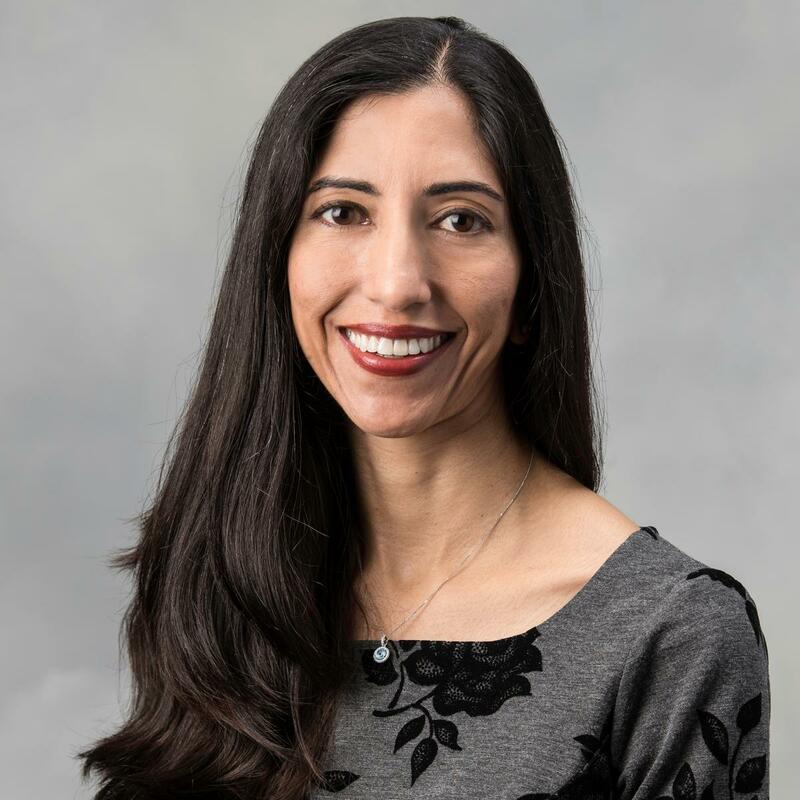 She is currently an Assistant Director at the UCLA Immunogenetics Center, and an Assistant Professor in the Department of Pathology and Laboratory Medicine at UCLA. Her current research interests lie in defining endothelial cell heterogeneity in regulating leukocyte trafficking, comparing macro vs. microvessel and tissue of origin across transplanted solid organs. Her work evaluates how endothelial cells regulate site-specific leukocyte trafficking, selective recruitment of leukocyte subsets, and the capacity to modulate the adaptive immune response; and how their site of origin leads to specialization of these functions. 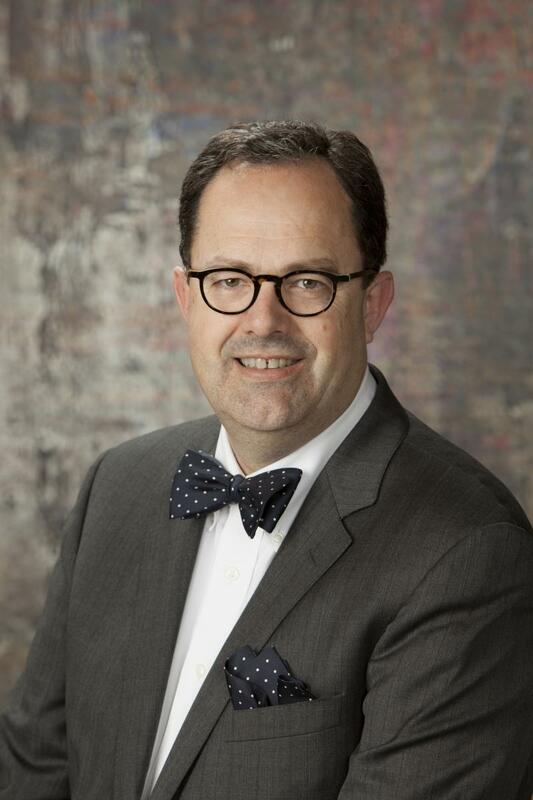 Dr. Marcel van den Brink is a medical oncologist with experience in both laboratory and clinical research, particularly in strategies to improve allogeneic bone marrow transplantation (BMT). He is the Head of the Division of Hematologic Malignancies at MSKCC and holds a joint appointment in the Immunology and Transplantation Program. As a clinical scientist he has been involved in immunotherapeutic trials of cytokines, cell therapies, tumor vaccines and BMT for patients with hematologic malignancies. His laboratory is devoted to the immunology of BMT and he studies post-transplant immune reconstitution, pathophysiology of graft-versus-host disease, the intestinal microbiota in BMT recipients, and the biology of graft-versus-tumor in patients and mouse models. 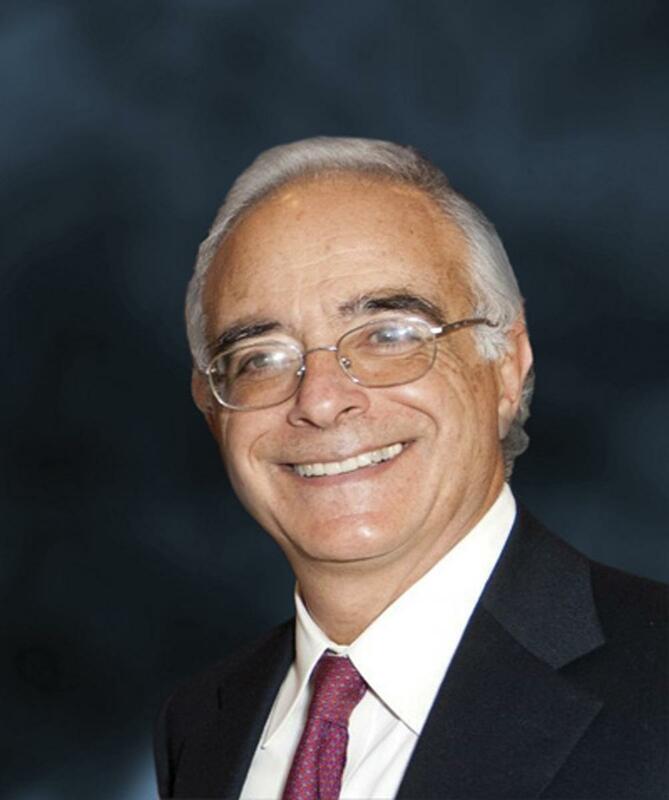 Dr. Flavio Vincenti has been a transplant nephrologist at UCSF since 1976, has been engaged in clinical research including trials with novel agents and biologics and published over 200 peer reviewed articles. He has mentored and a great number of transplant fellows, served on several committees of the AST and was elected president of the Society 2007-2008. He is recipient of the Lifetime Achievement Award of the AST. 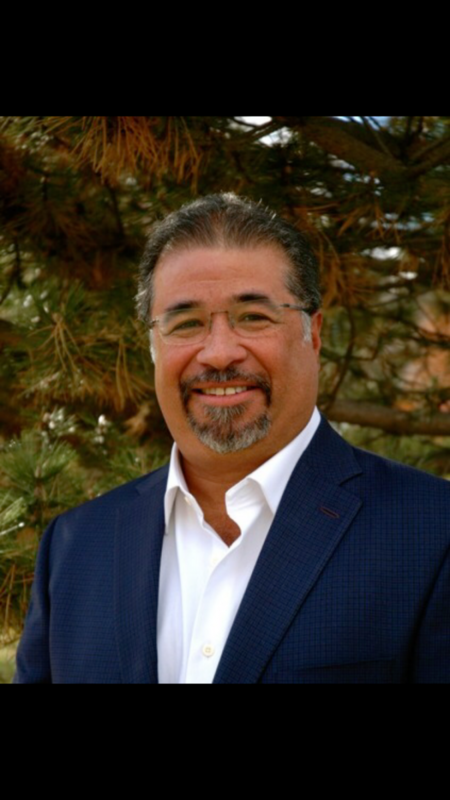 Dr. Martin Zamora was the Medical Director of the University of Colorado Lung Transplant Program since it’s inception in 1991 to 2018. He is now Professor Emeritus and remains active in the lung transplant community. He has authored over 150 peer reviewed articles and book chapters and has served on many committees of the AST, ISHLT and UNOS. He maintains an active research laboratory and his work centers on autologous stem cells to prevent allograft rejection, Ex-vivo lung perfusion and mitochondrial repair enzymes to increase donor lung utilization.